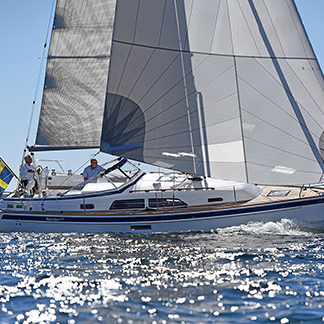 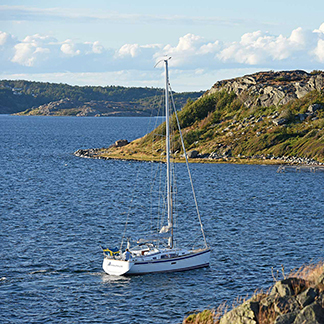 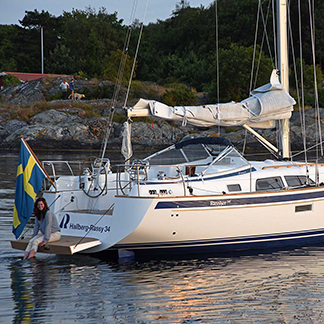 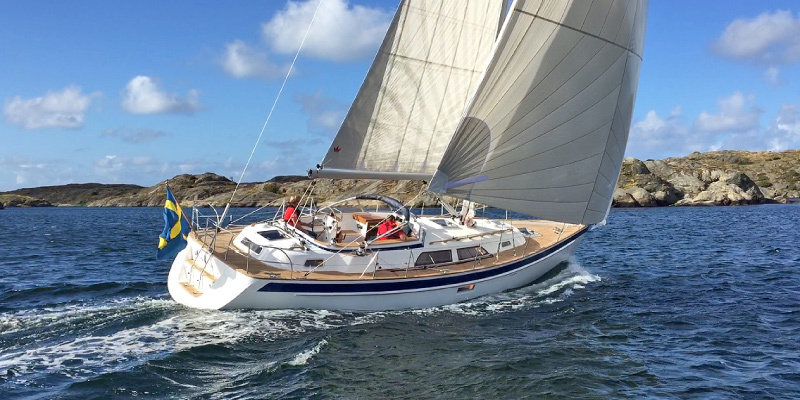 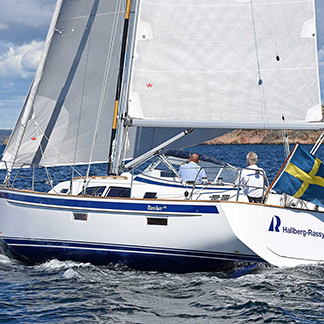 The world premiere for the all-new Hallberg-Rassy 340 will be at Scandinavia's largest sailboat show, Open Yard in Ellös on Orust, West Sweden, 25-27 August 2017. 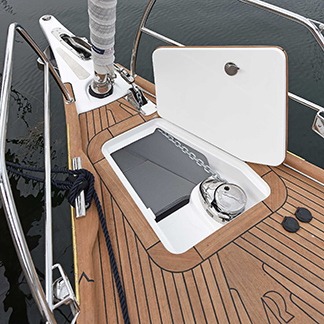 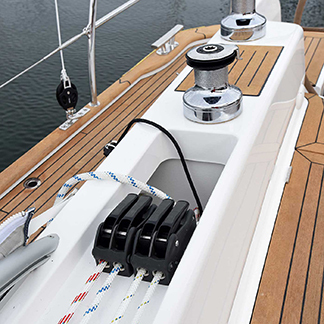 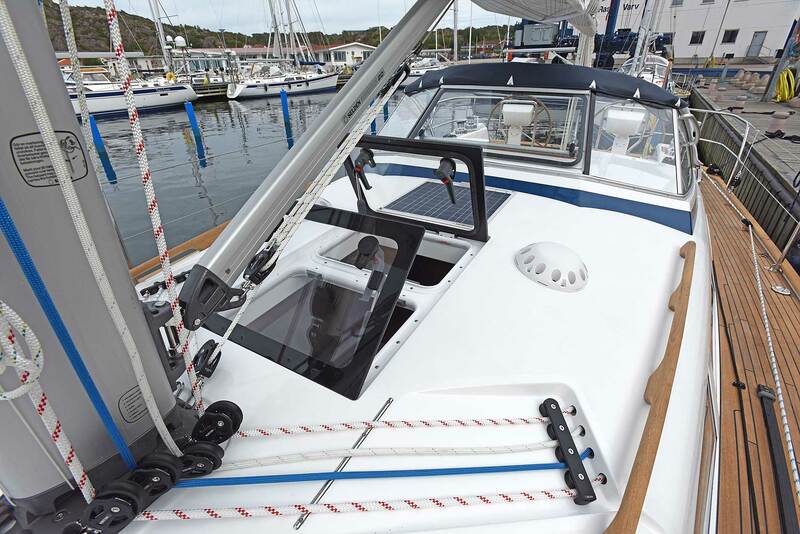 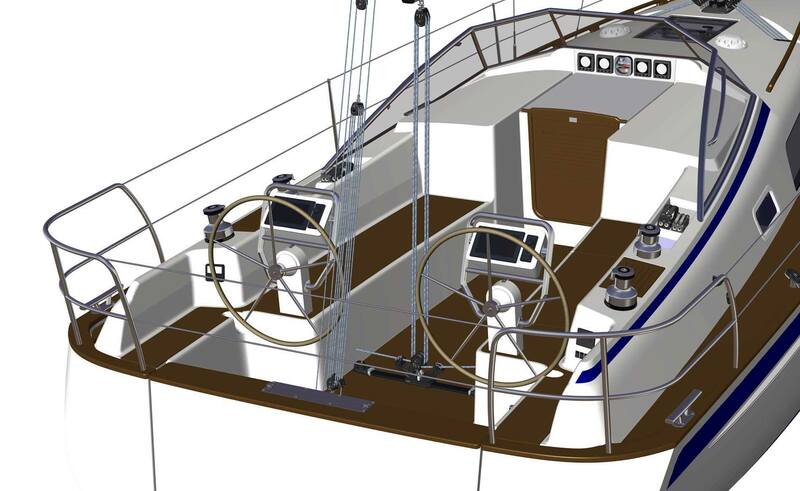 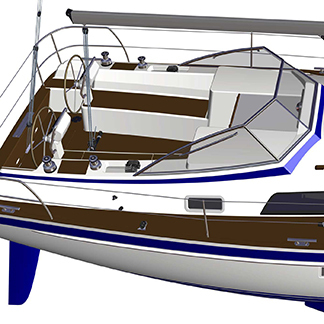 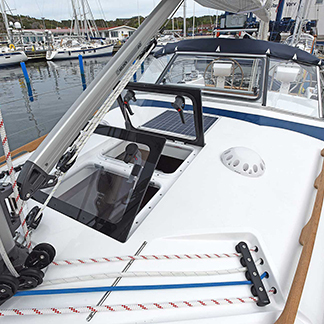 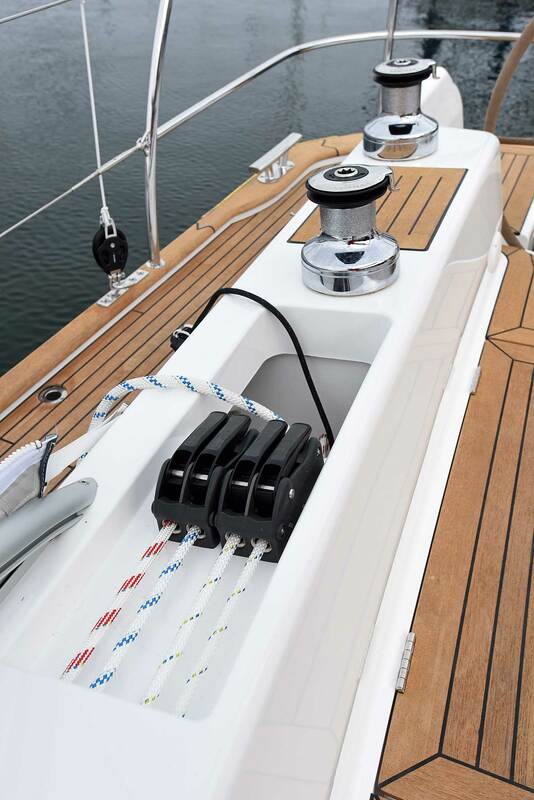 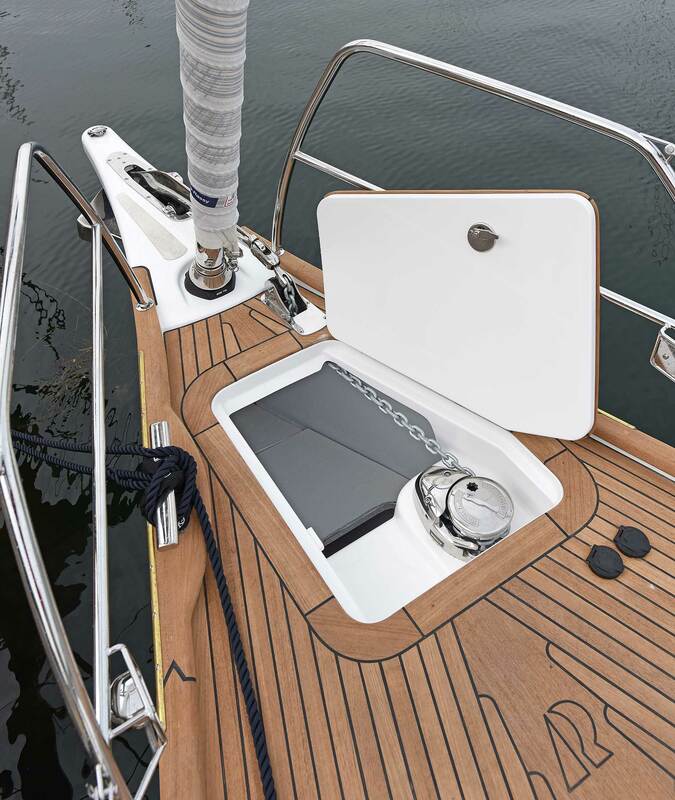 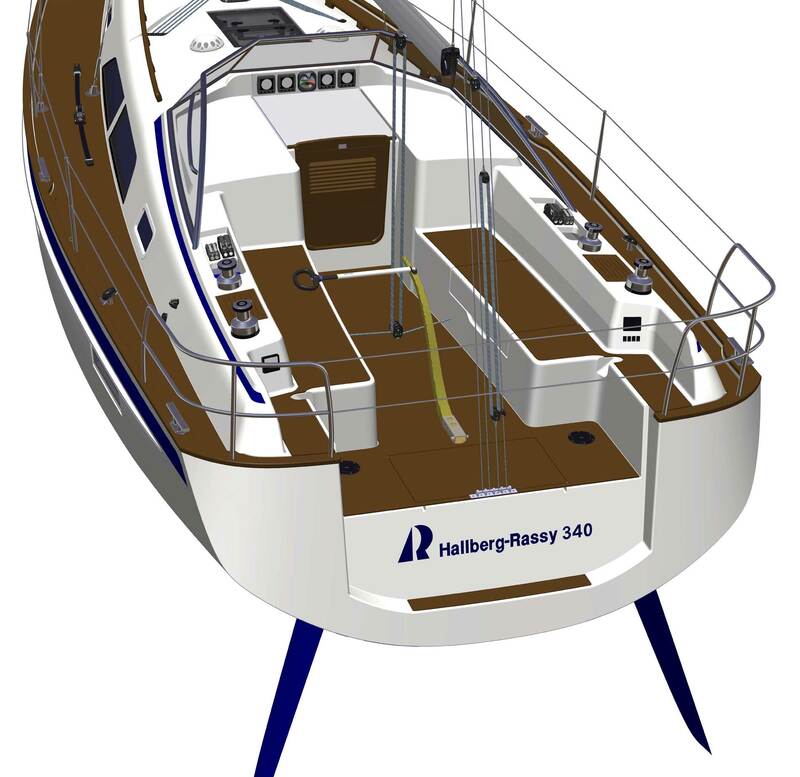 This brand new model delivers the best Hallberg-Rassy stands for combined with the latest in design from Frers. 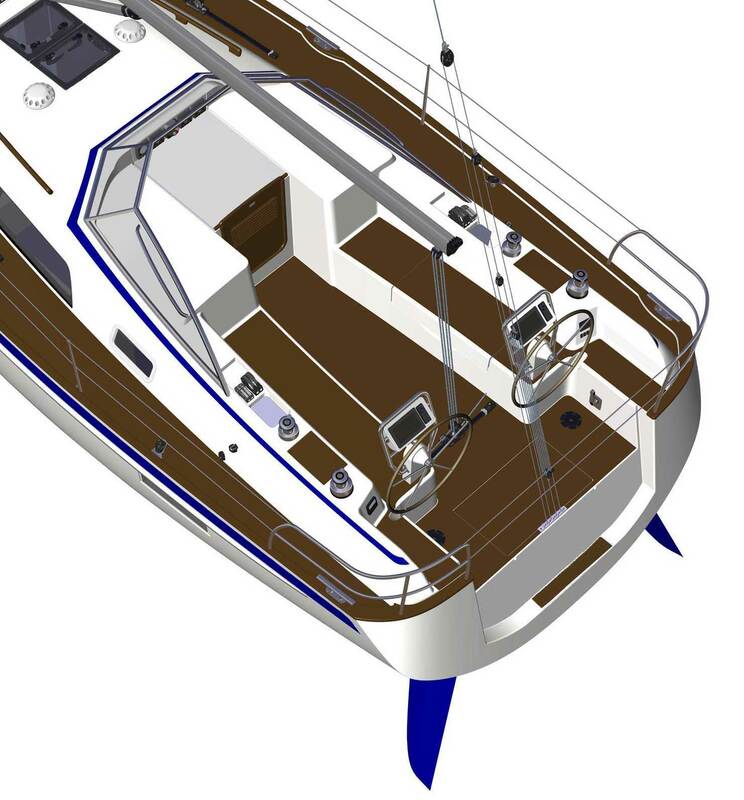 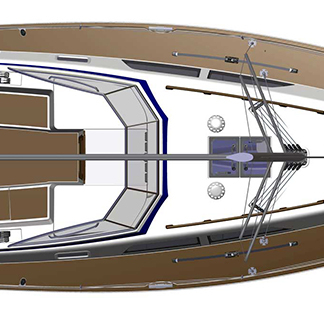 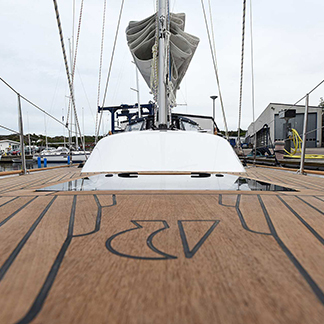 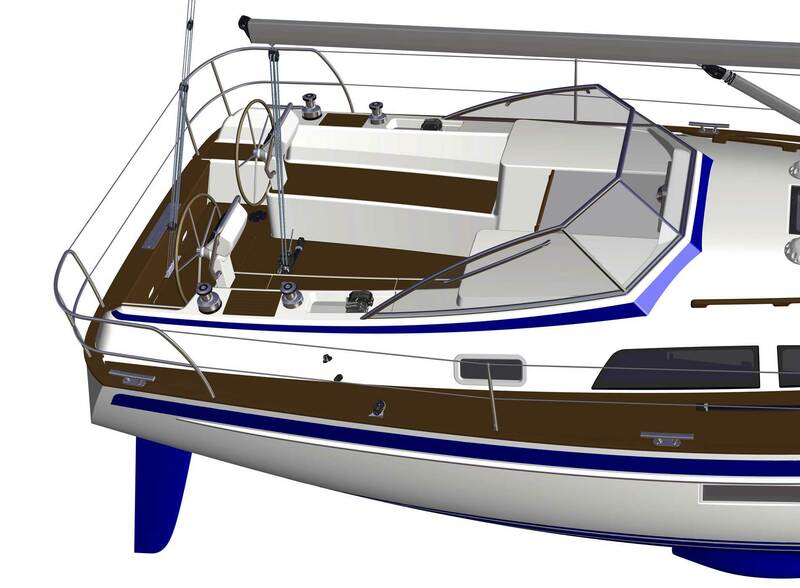 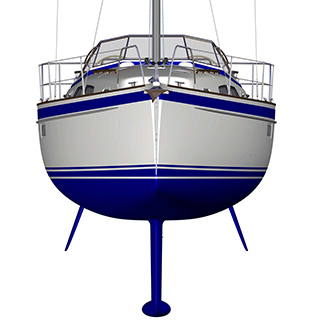 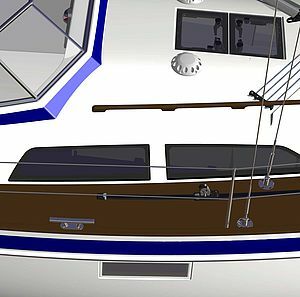 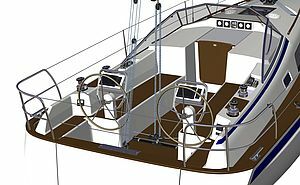 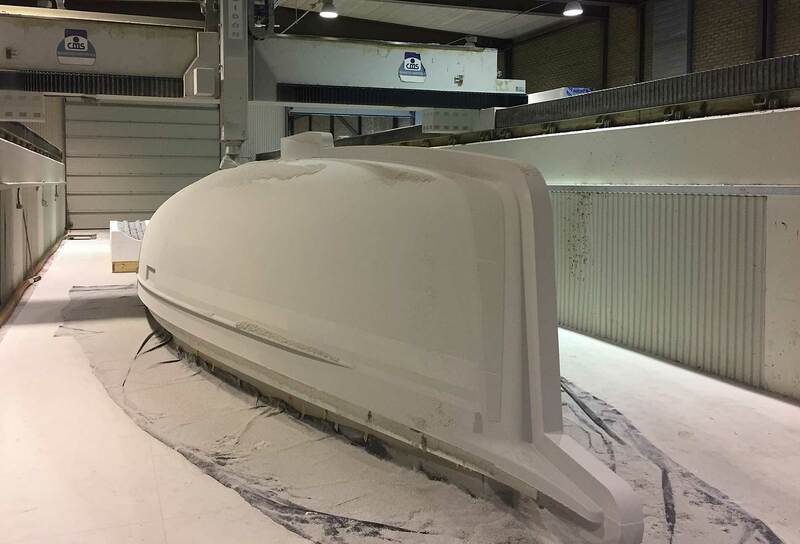 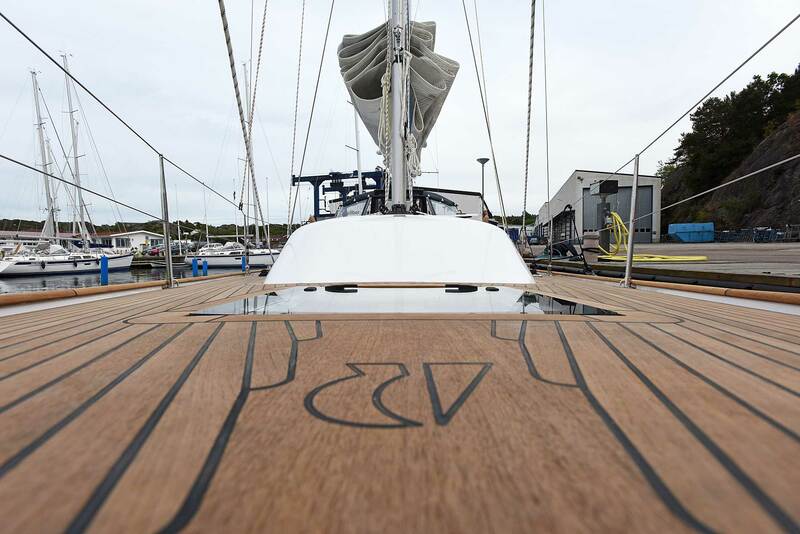 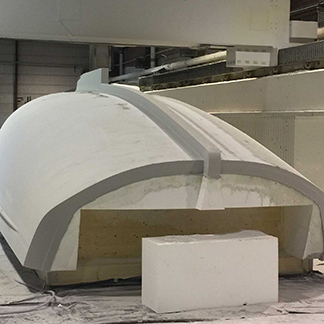 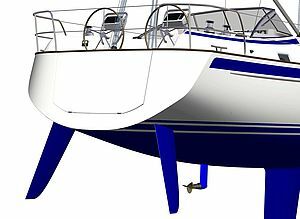 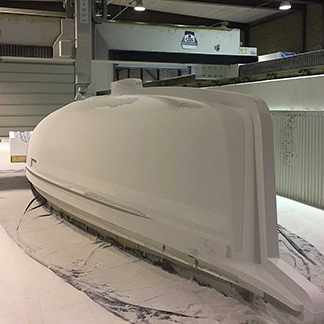 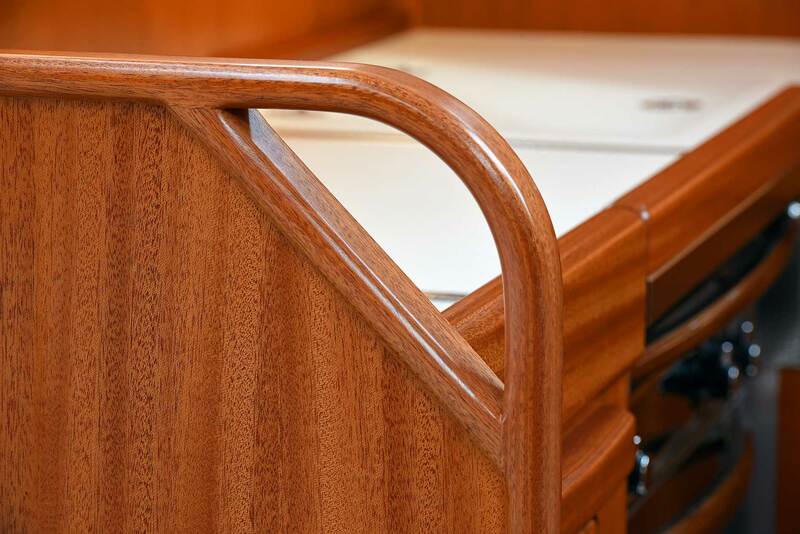 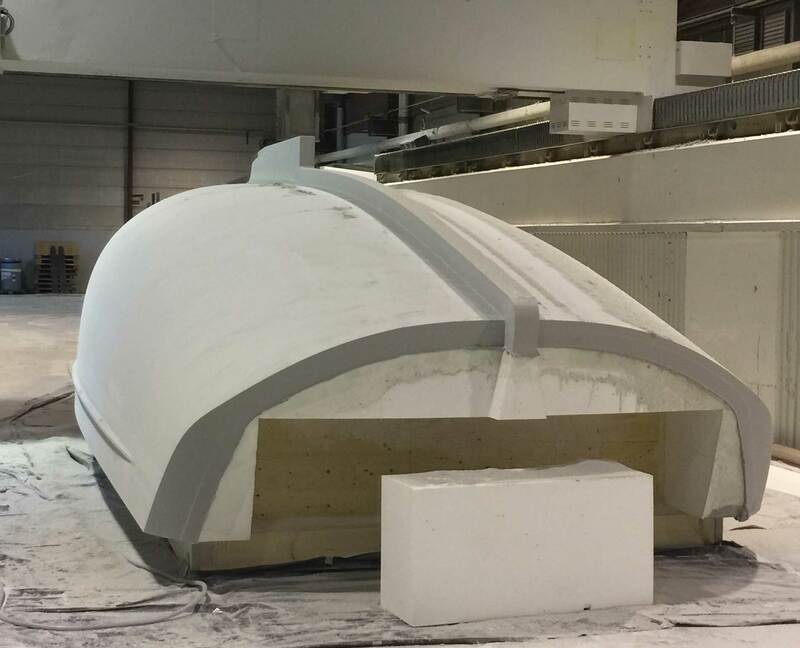 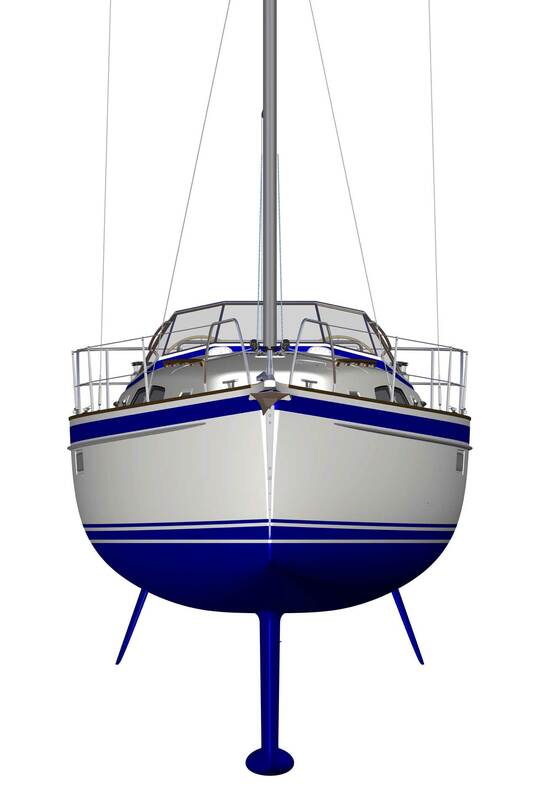 She will provide higher comfort and performance in the concept and will raise the bar to a level no-one previously thought was possible for a boat of this size. 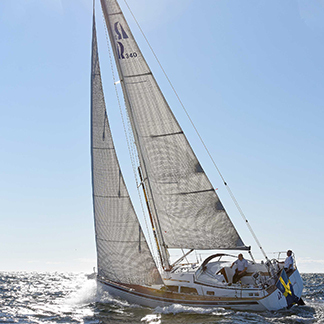 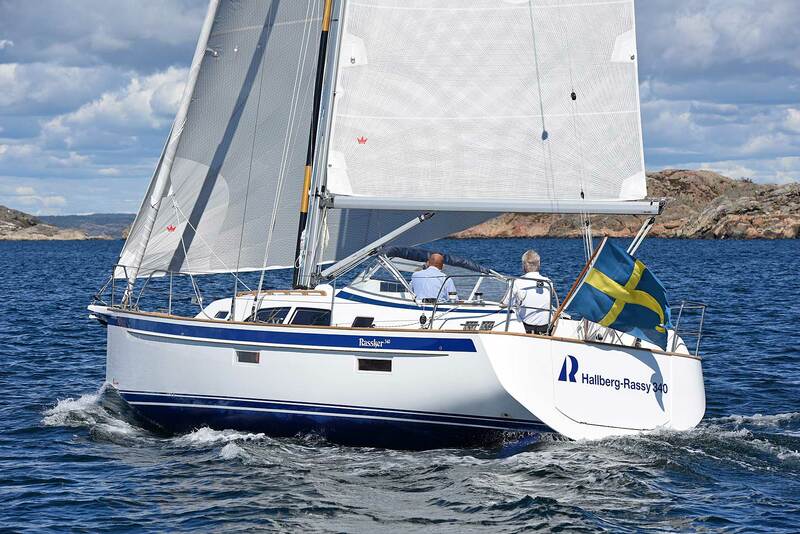 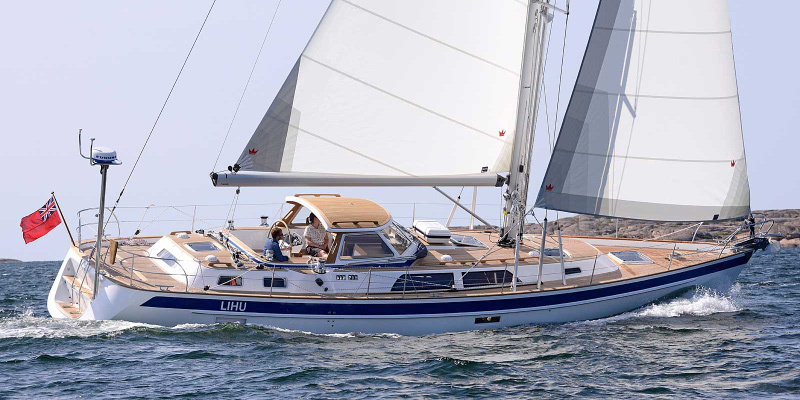 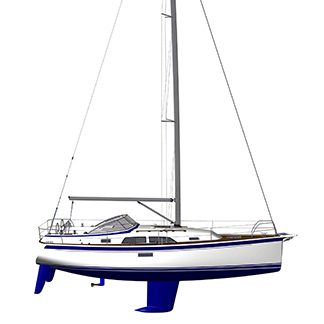 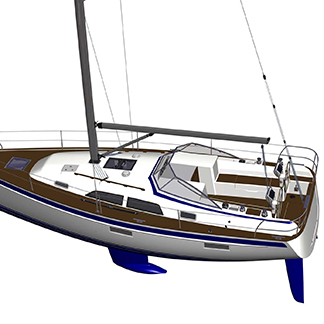 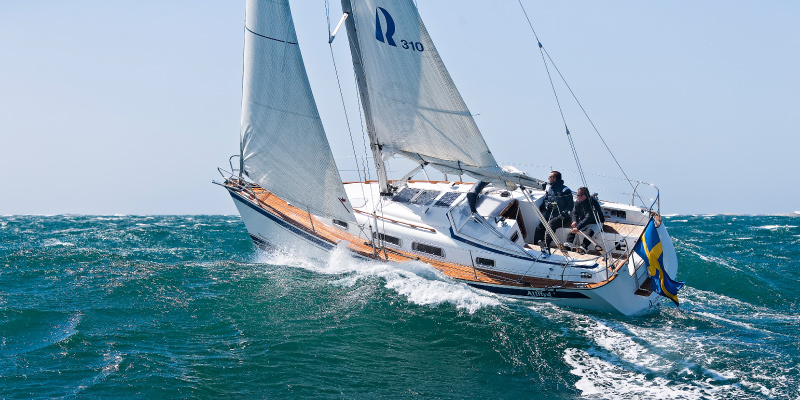 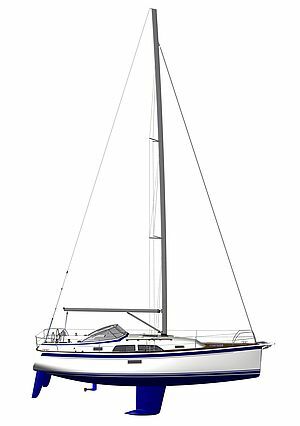 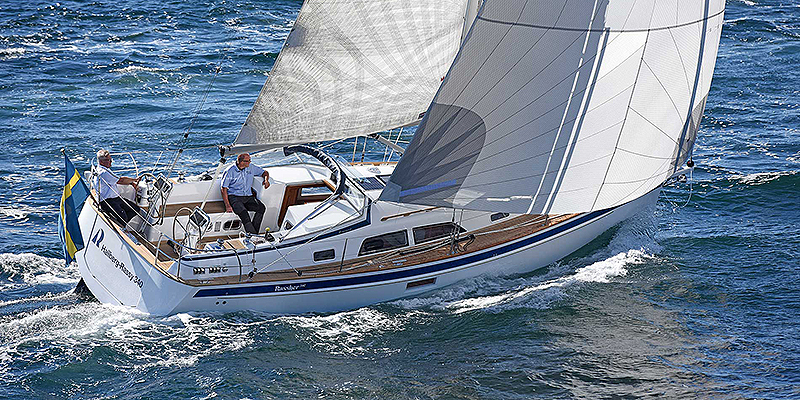 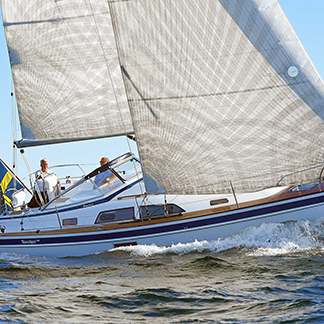 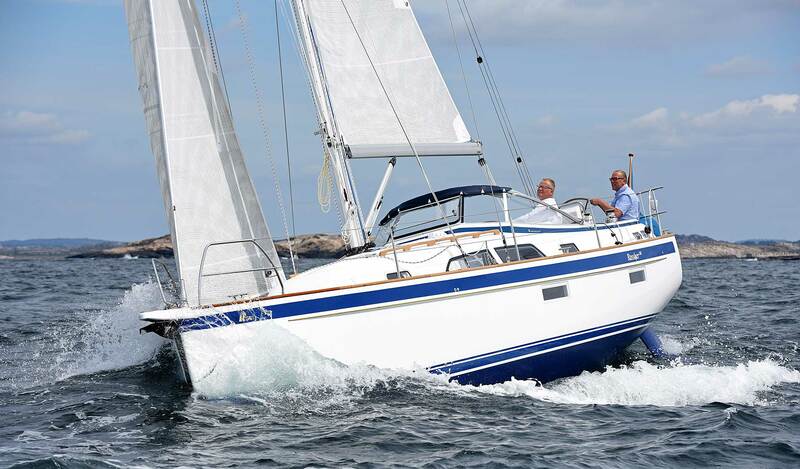 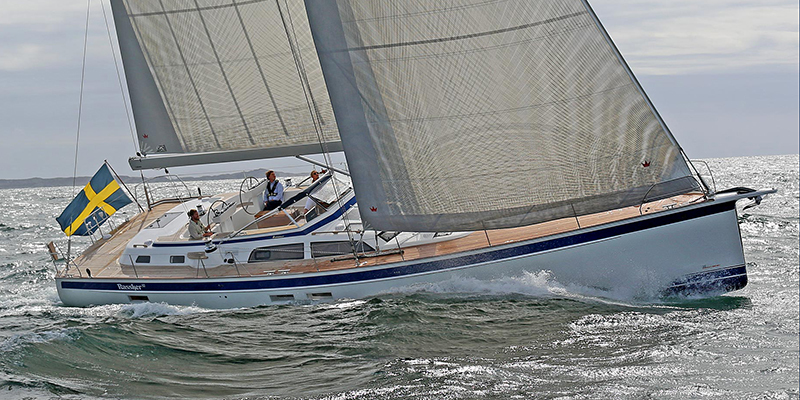 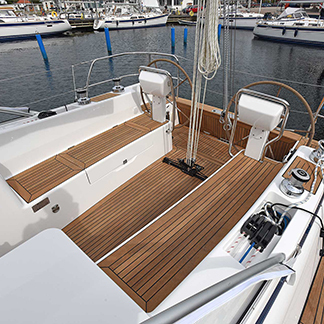 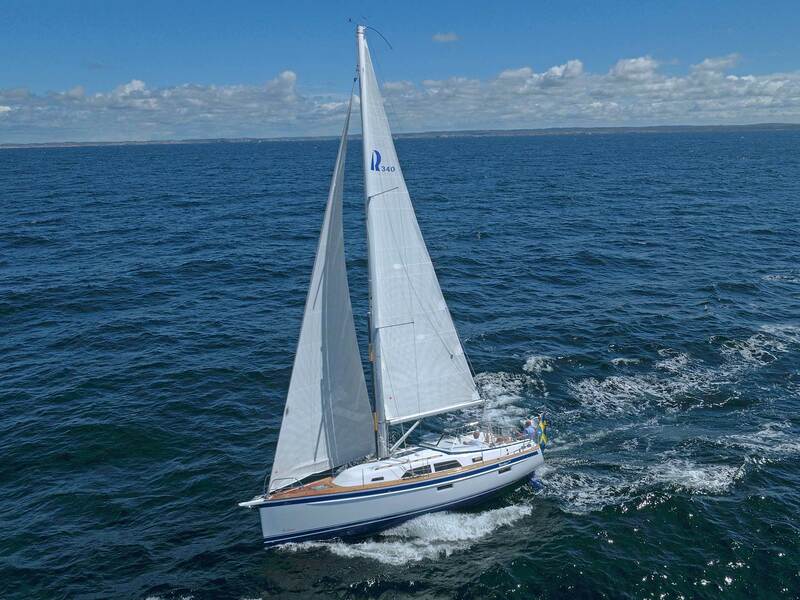 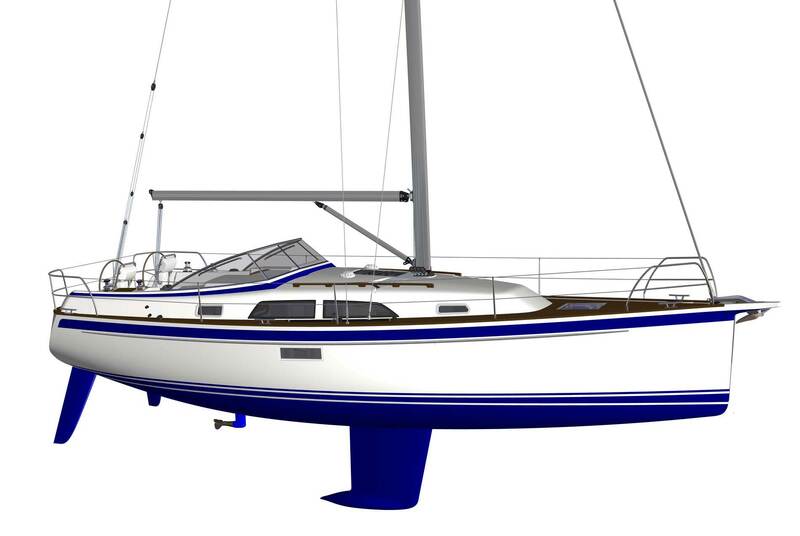 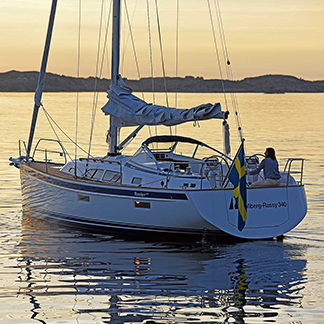 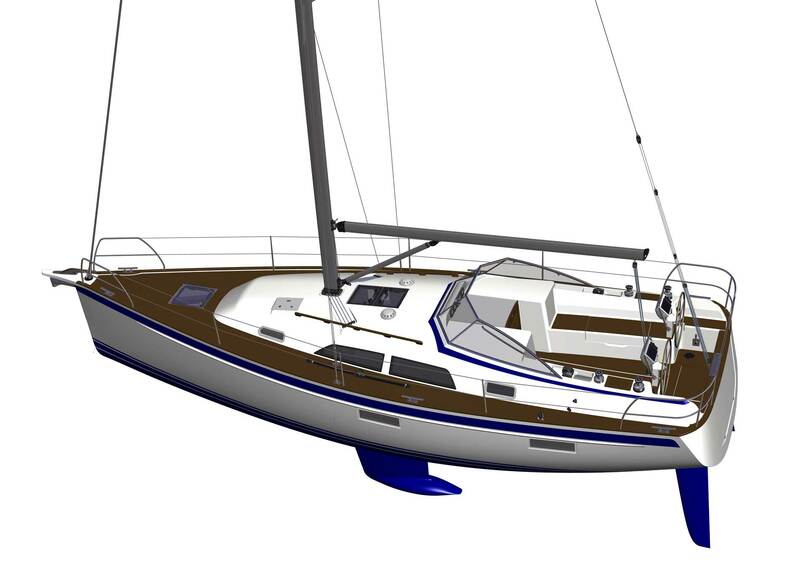 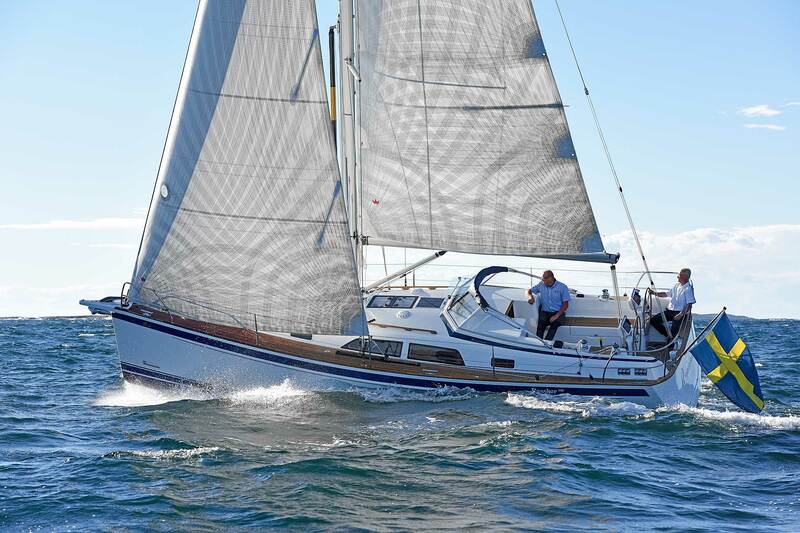 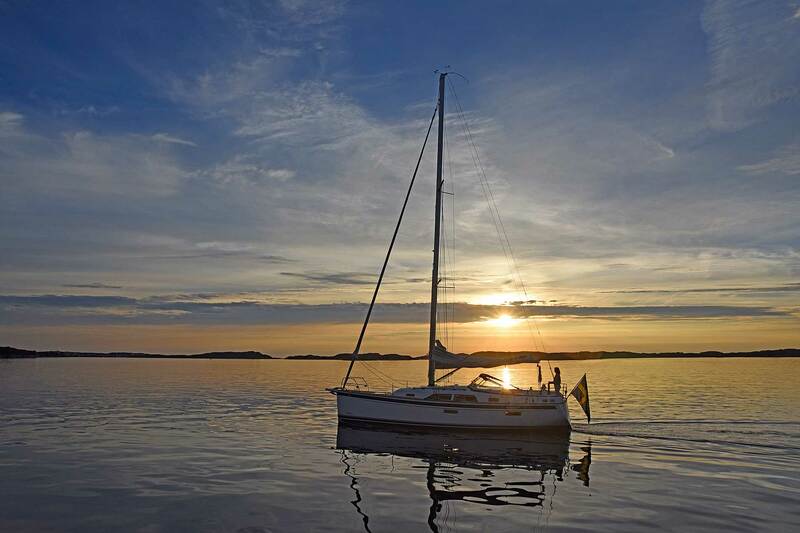 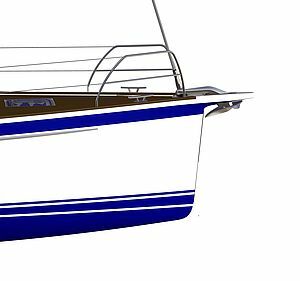 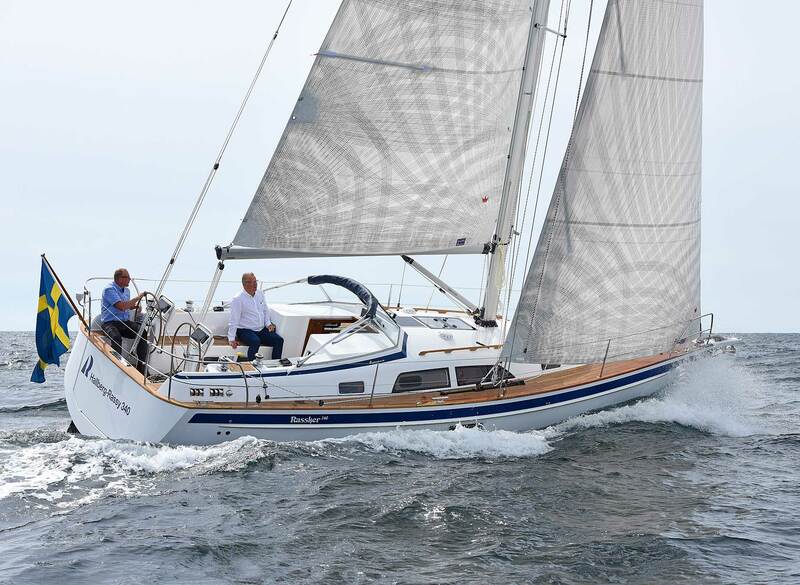 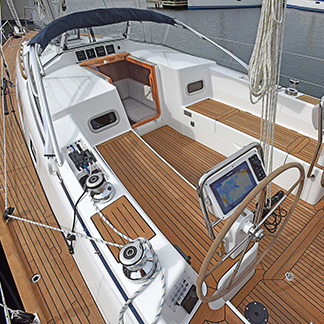 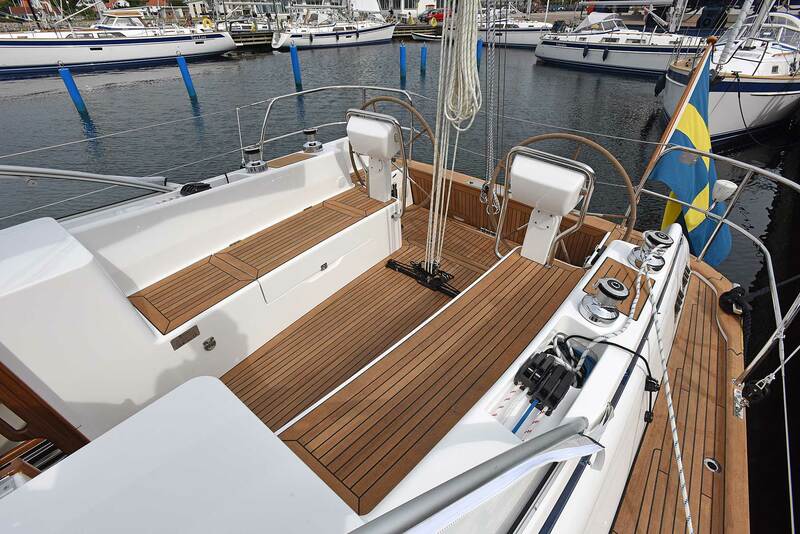 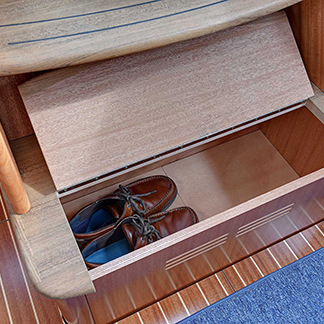 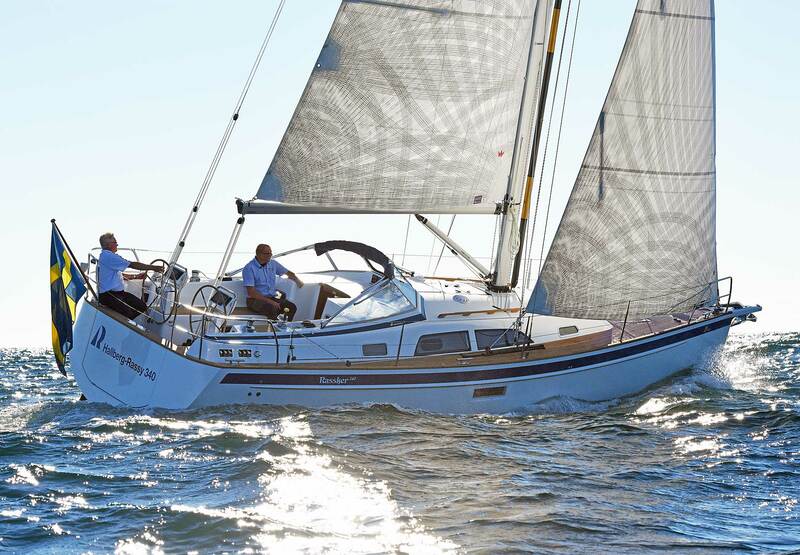 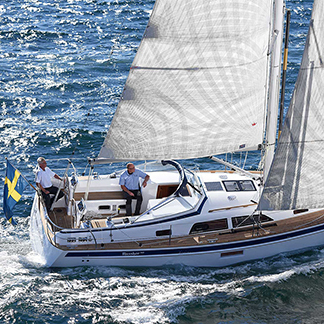 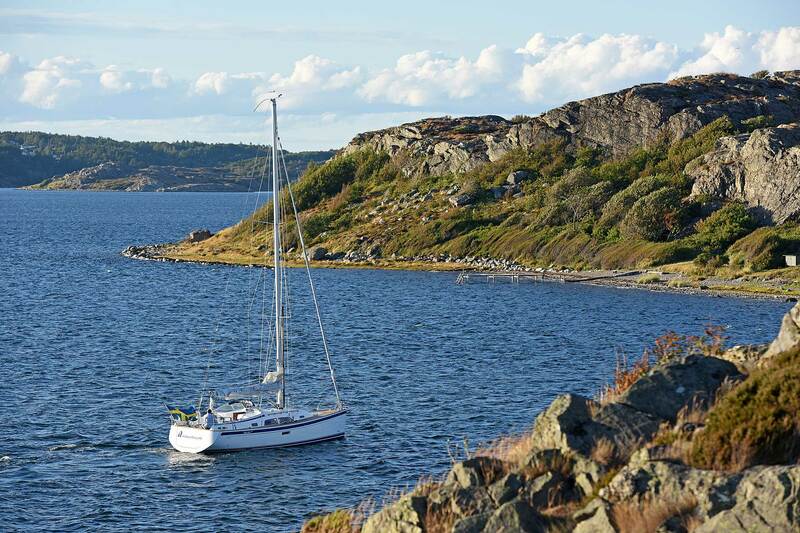 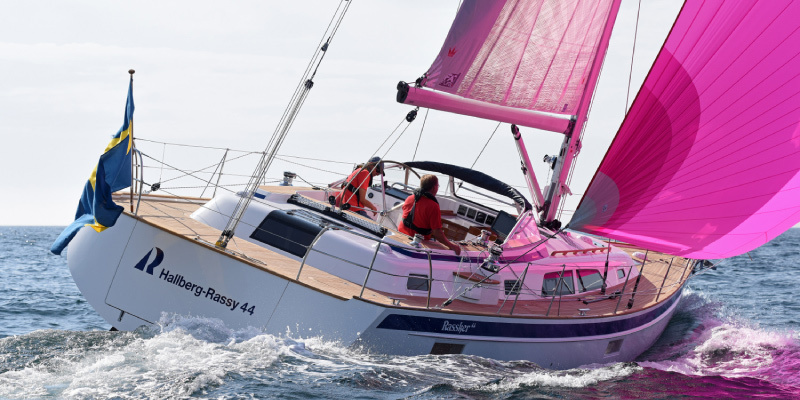 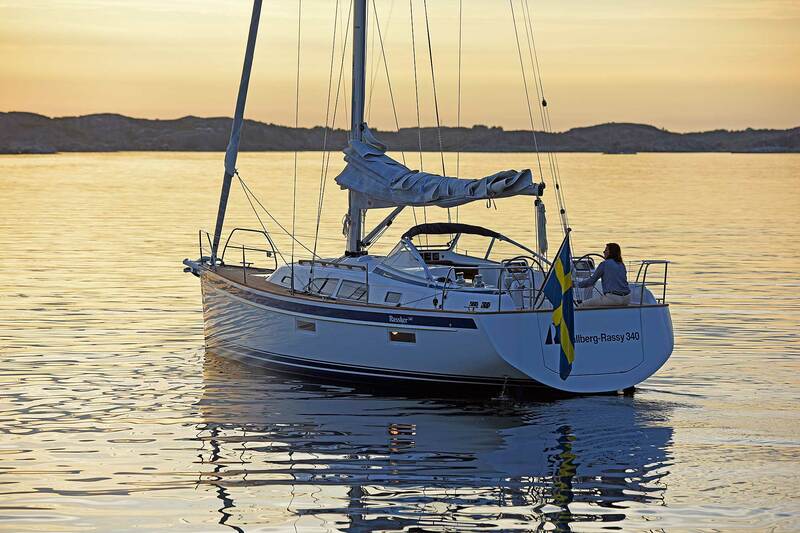 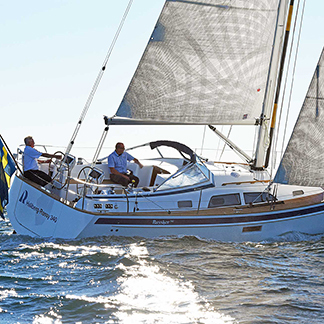 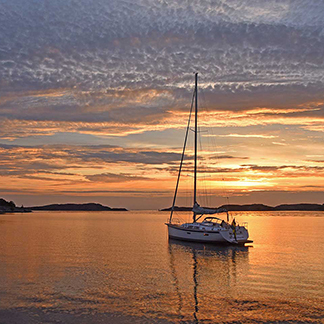 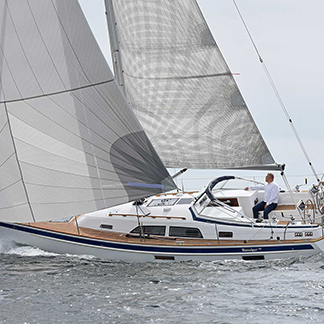 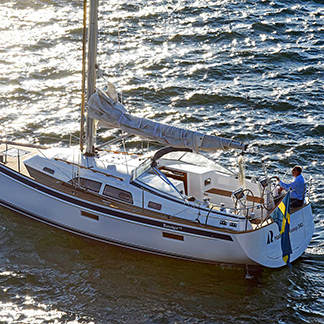 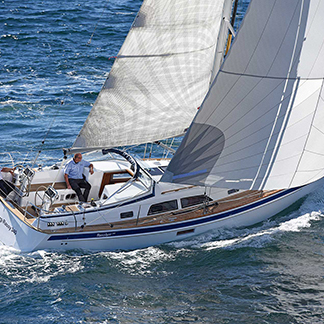 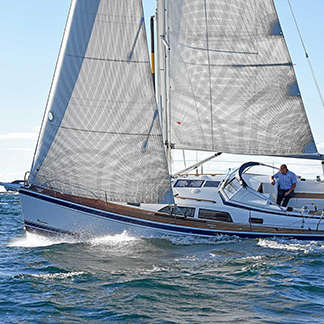 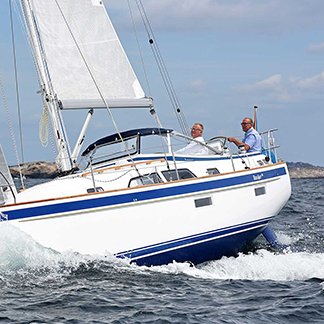 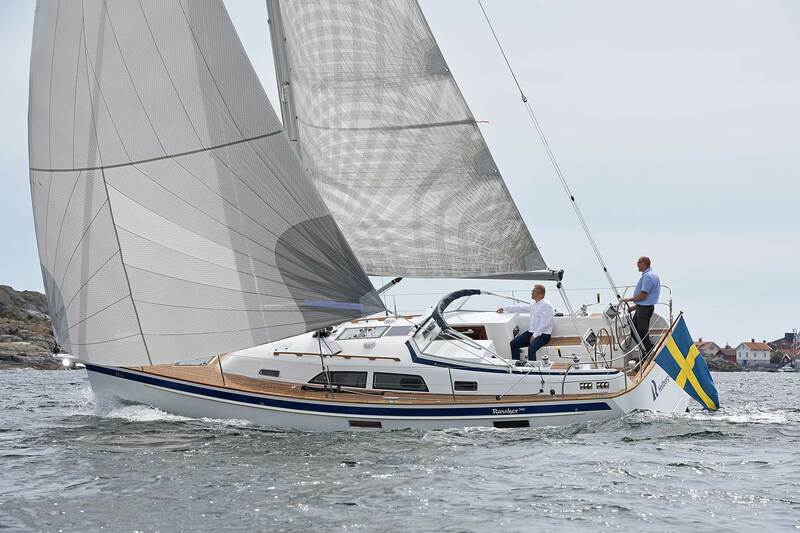 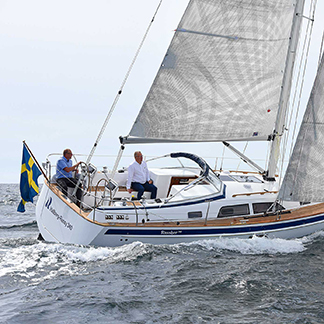 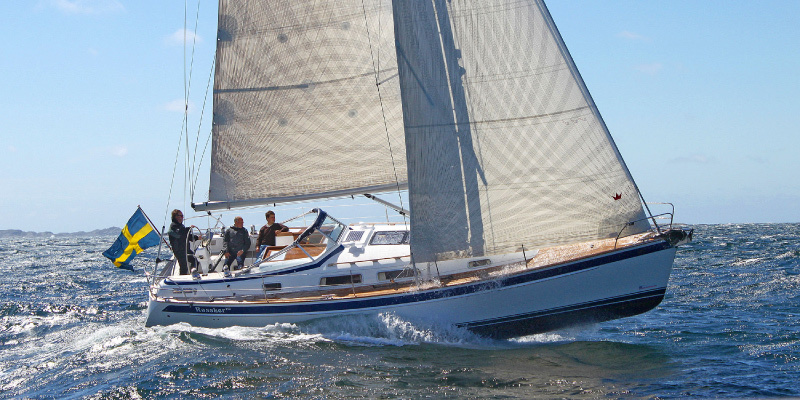 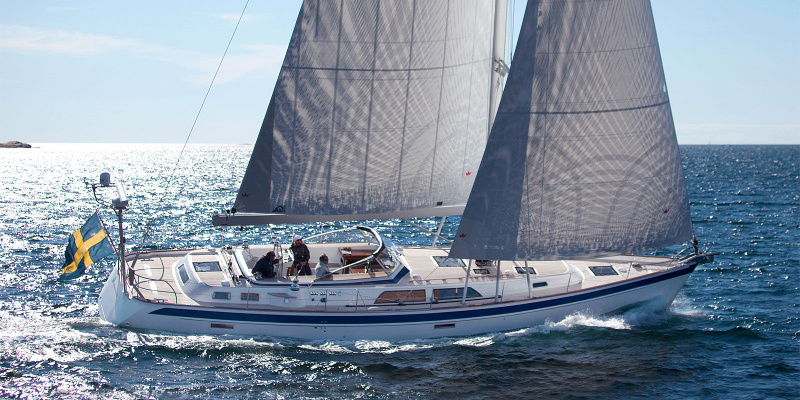 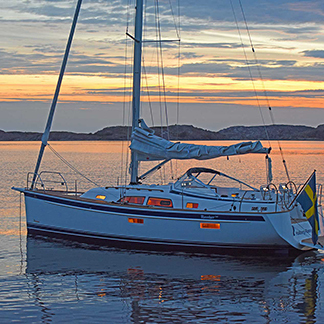 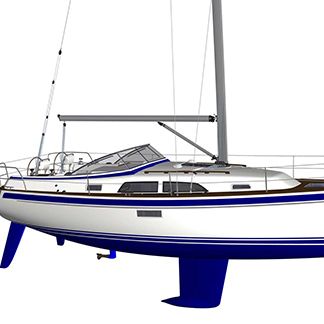 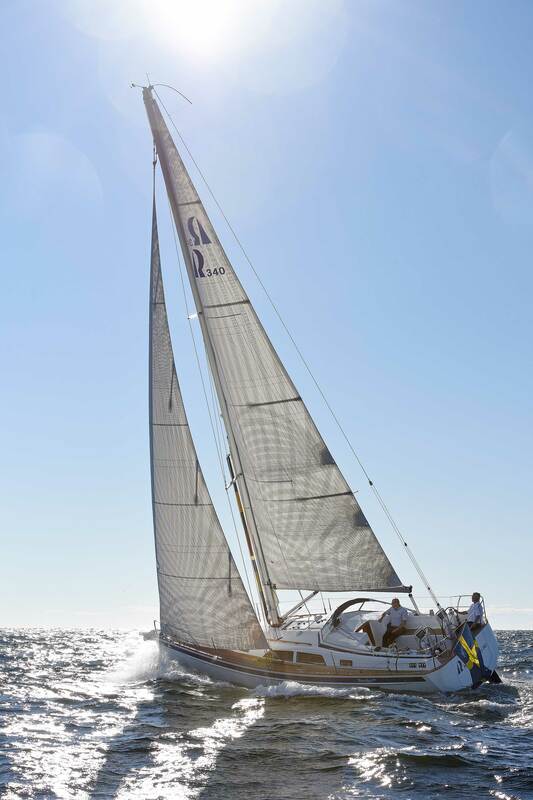 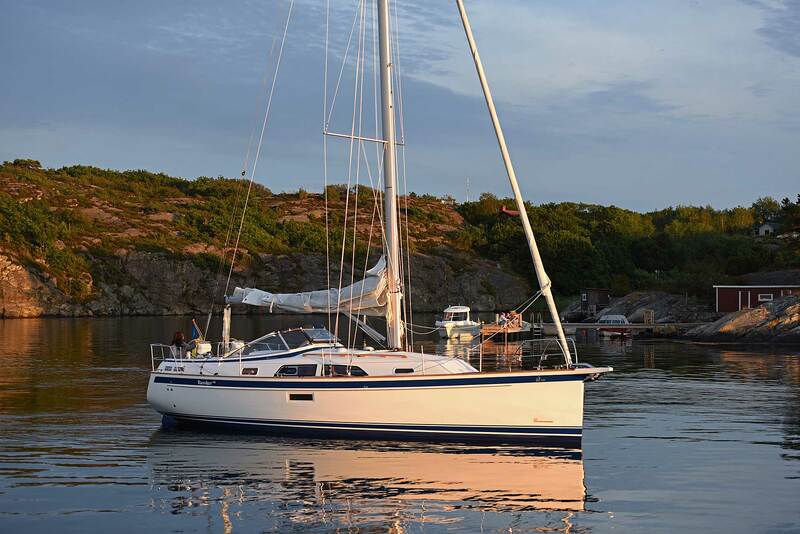 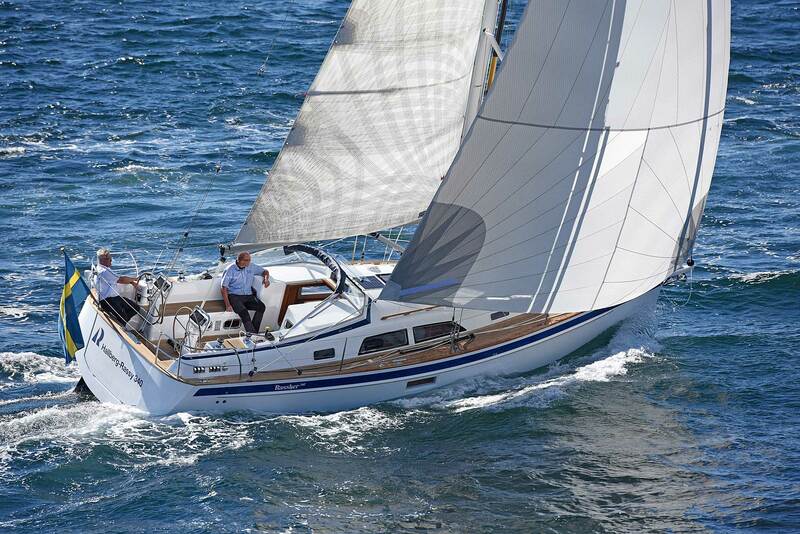 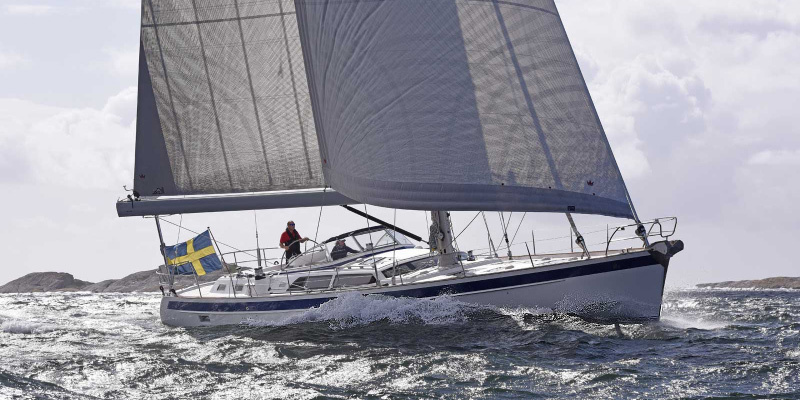 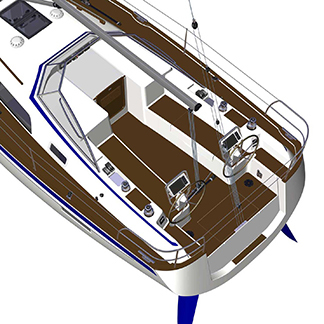 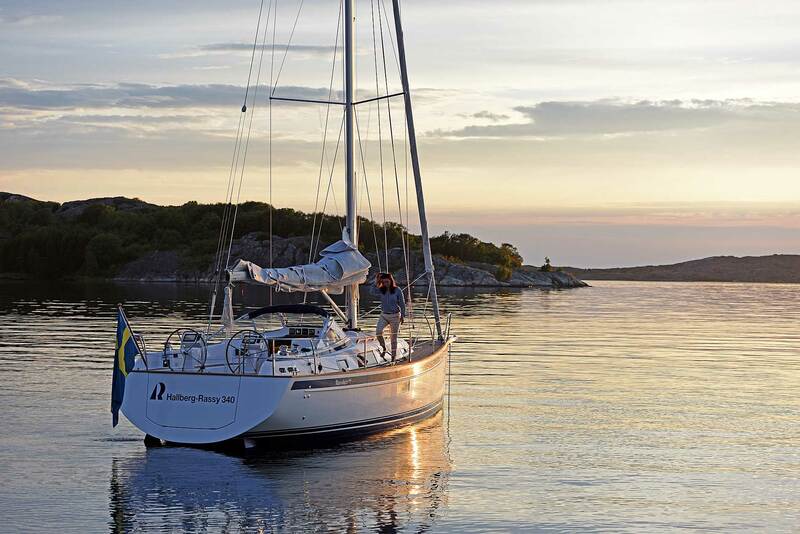 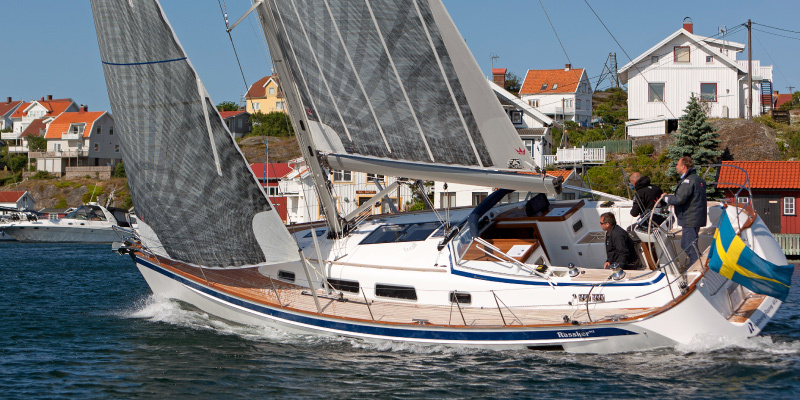 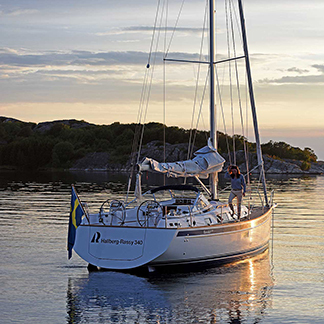 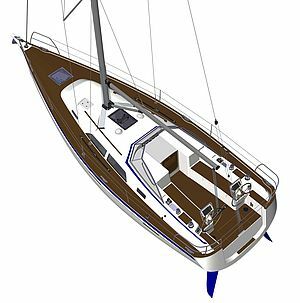 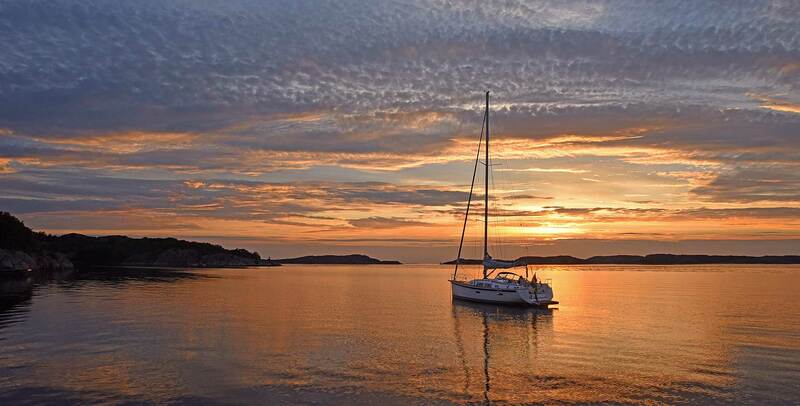 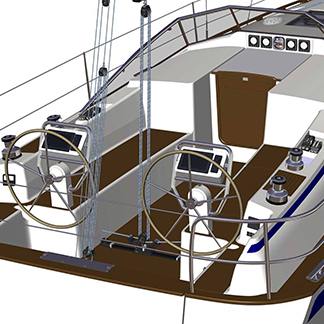 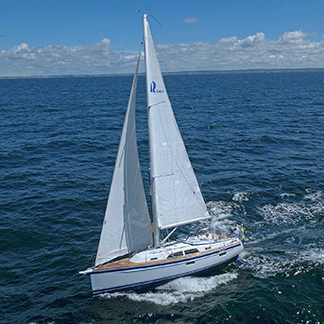 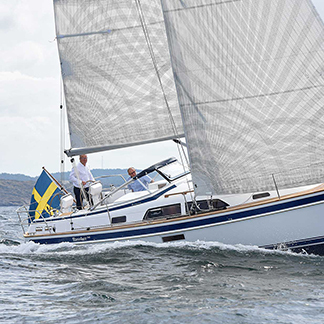 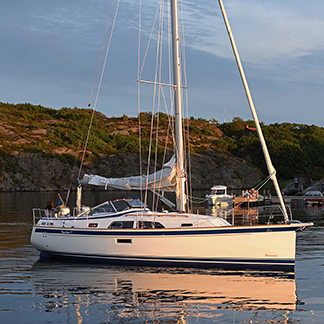 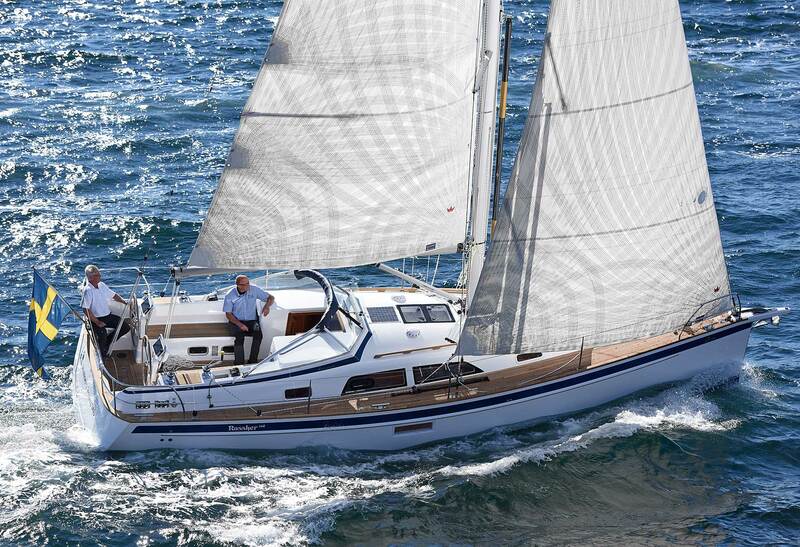 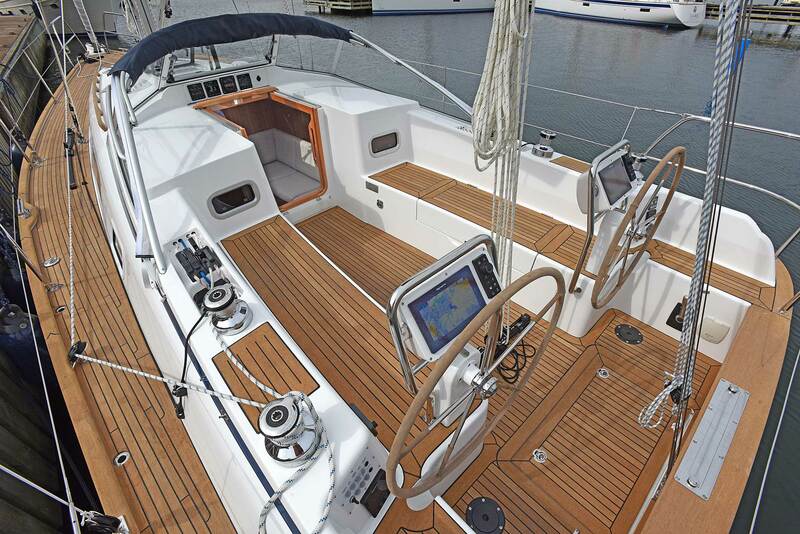 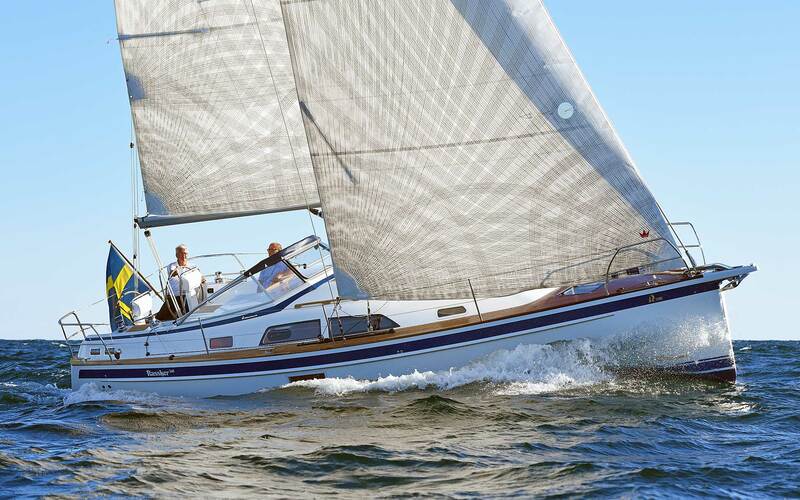 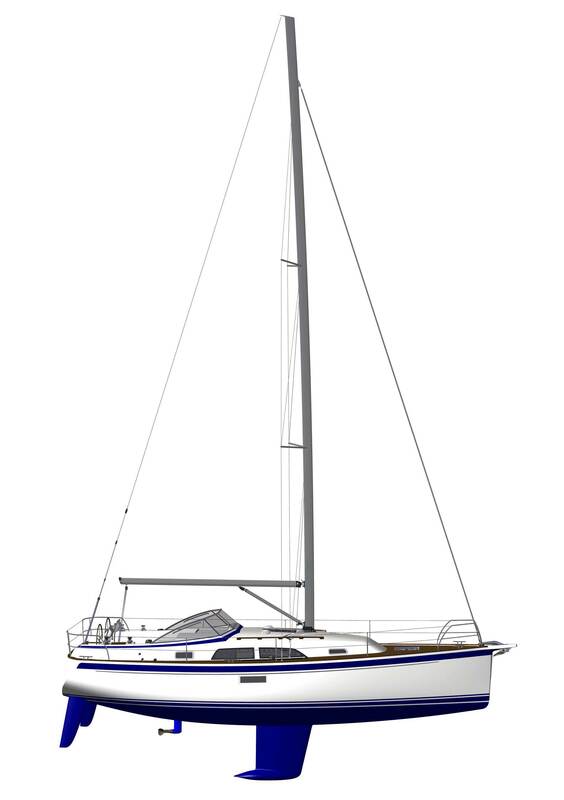 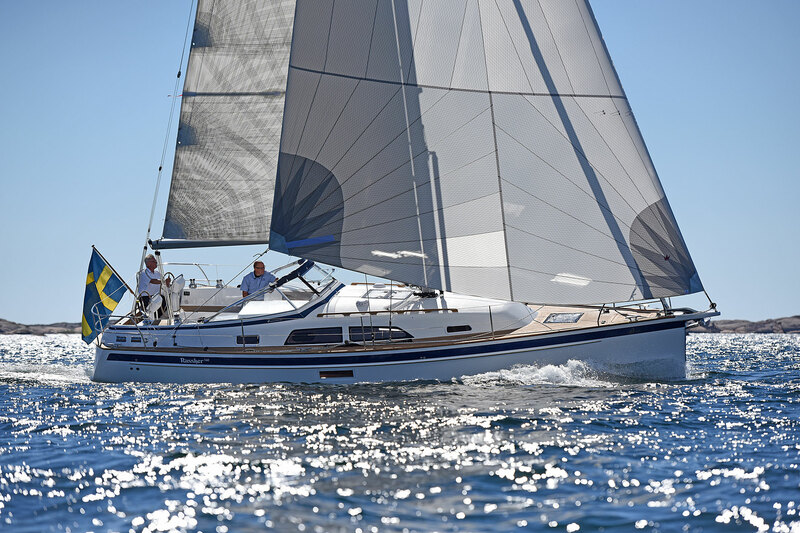 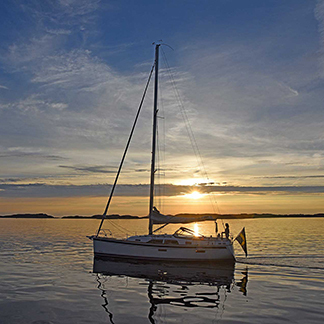 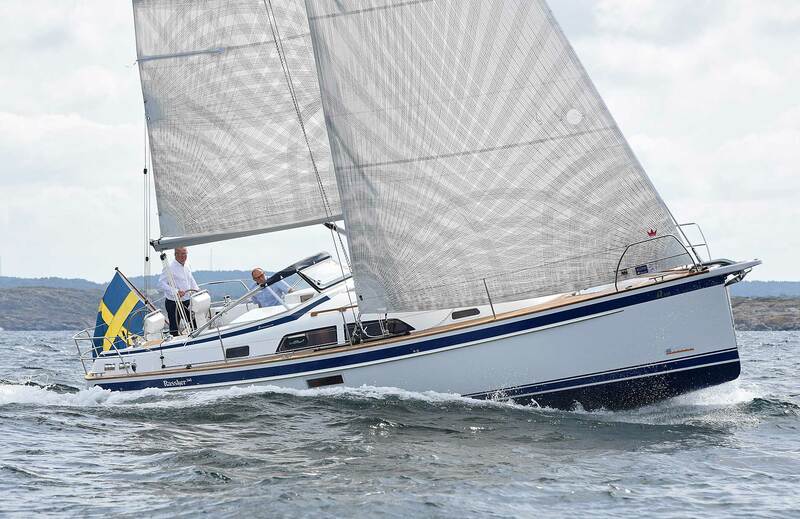 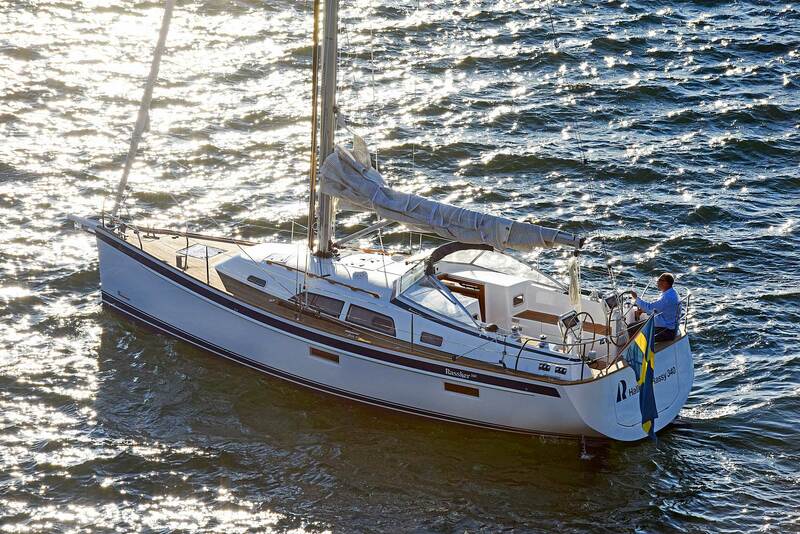 The all-new Hallberg-Rassy 340 provides fast, easy and comfortable sailing at a new level. 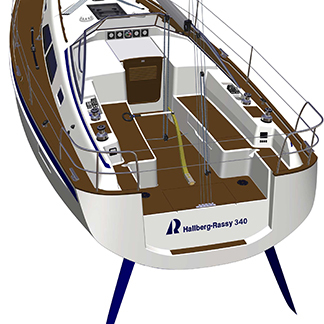 For the first time in this size of boat, Hallberg-Rassy offers the possibility to order a large folding bathing platform. 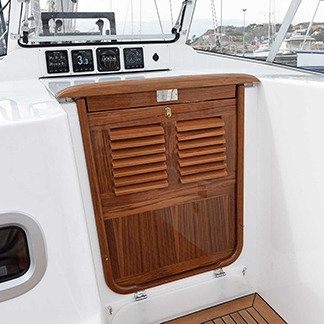 When the platform is closed, an elegant closed transom occurs. 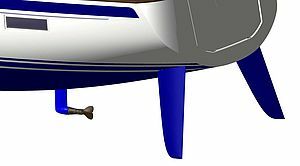 By default there is a fixed platform aft of the helmsman and a step down to the water. 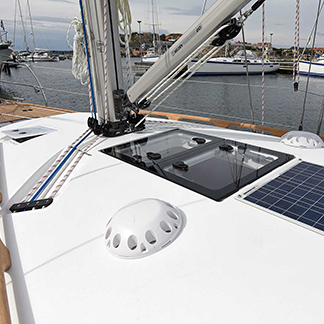 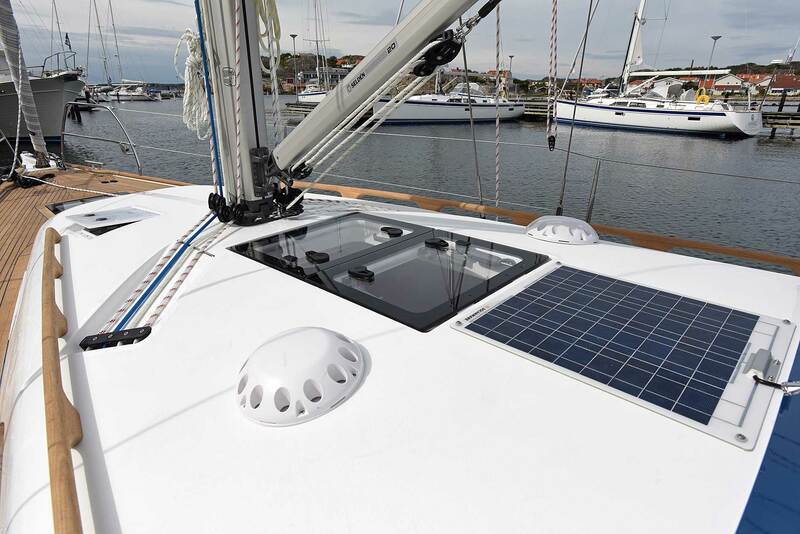 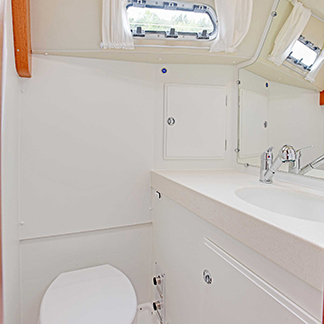 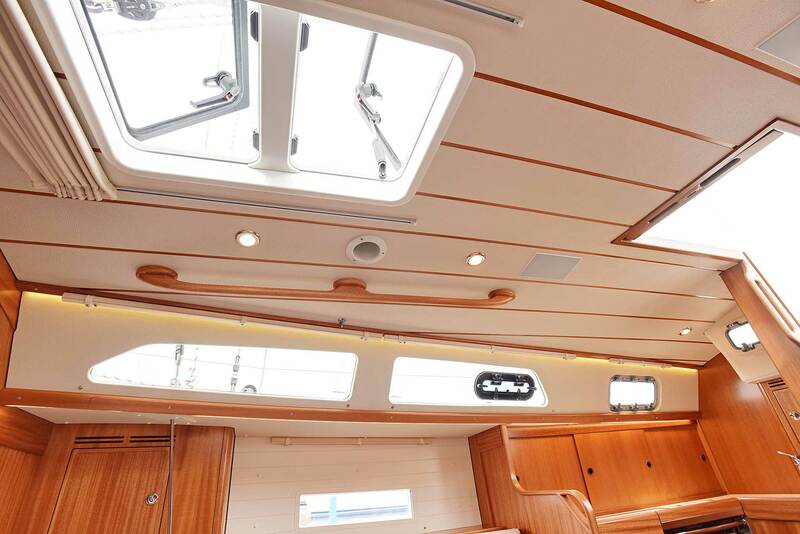 There are four flush mounted skylights hatches, six openable portlights and three hull windows. 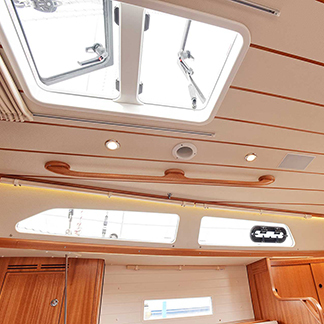 All portlights and skylights have clear glass except the hatch in the head which is milk coloured, to let the light in but obscure views. 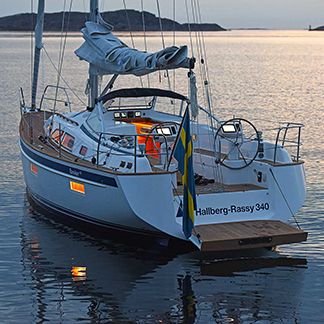 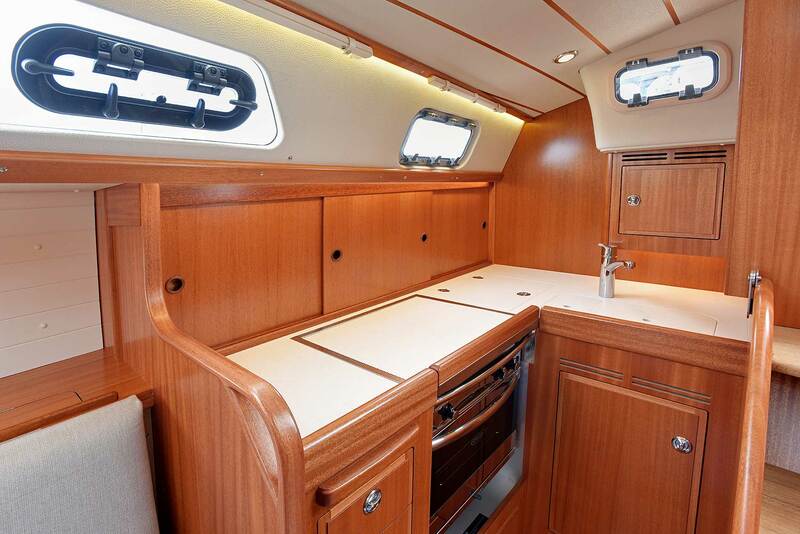 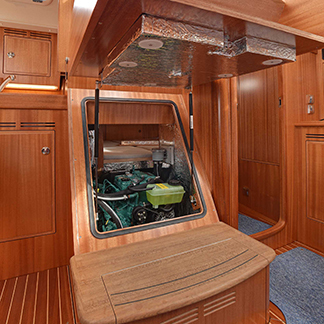 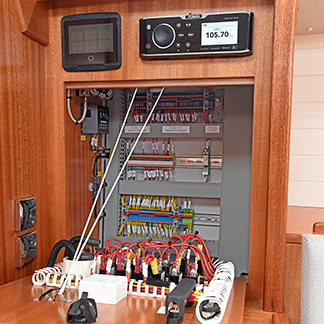 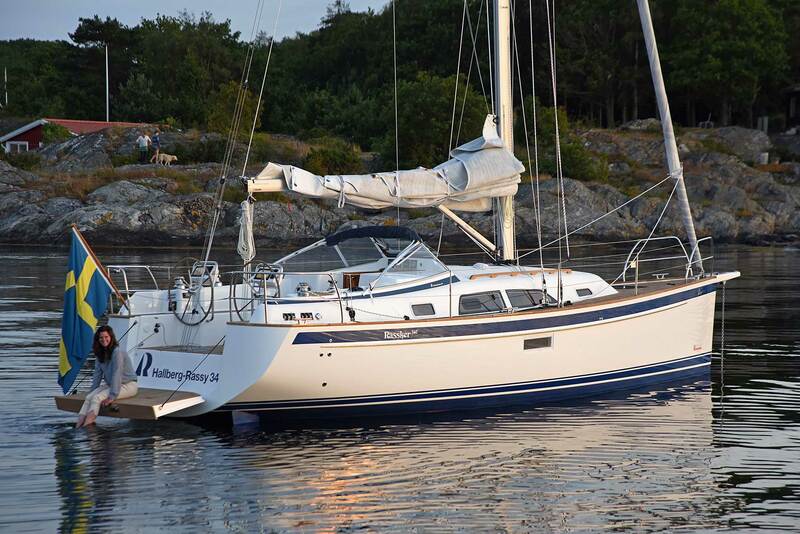 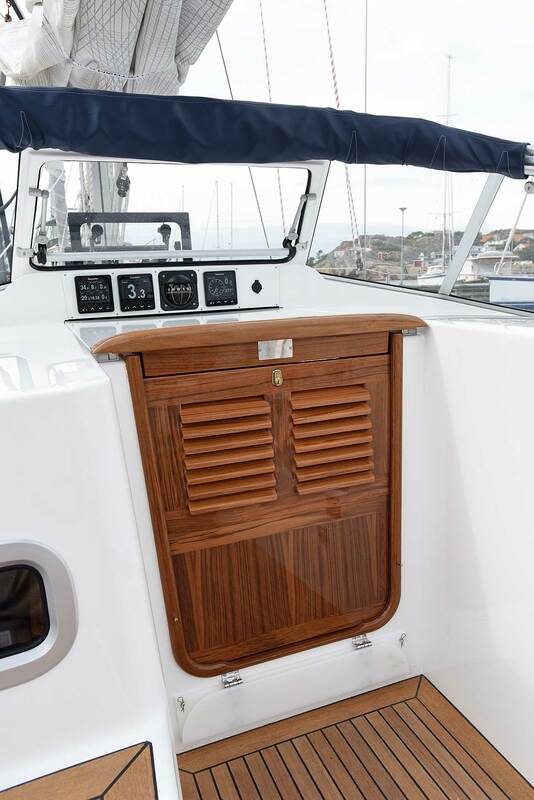 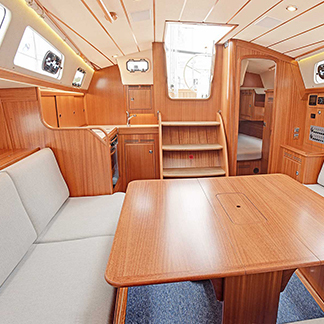 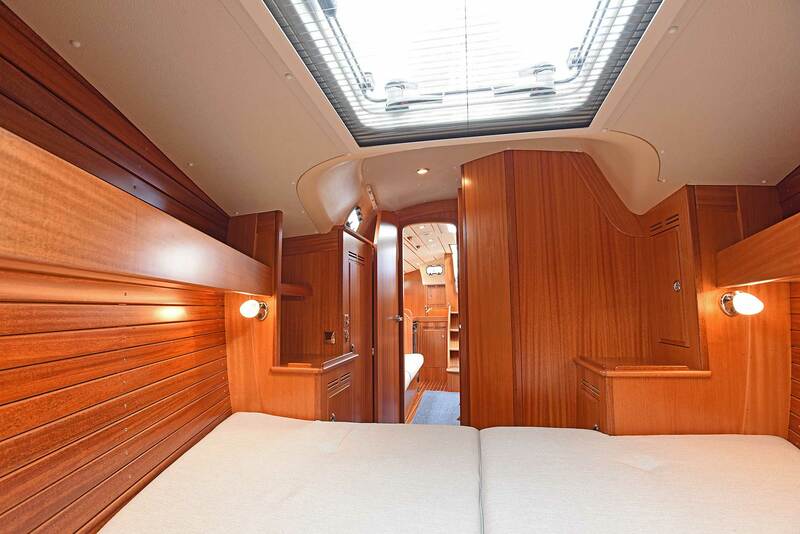 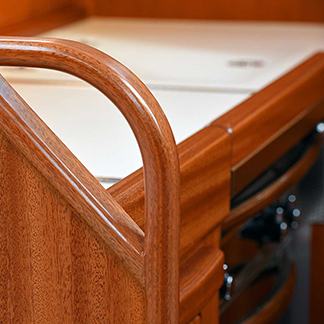 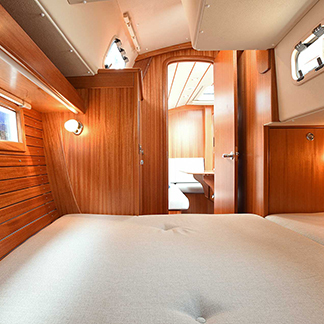 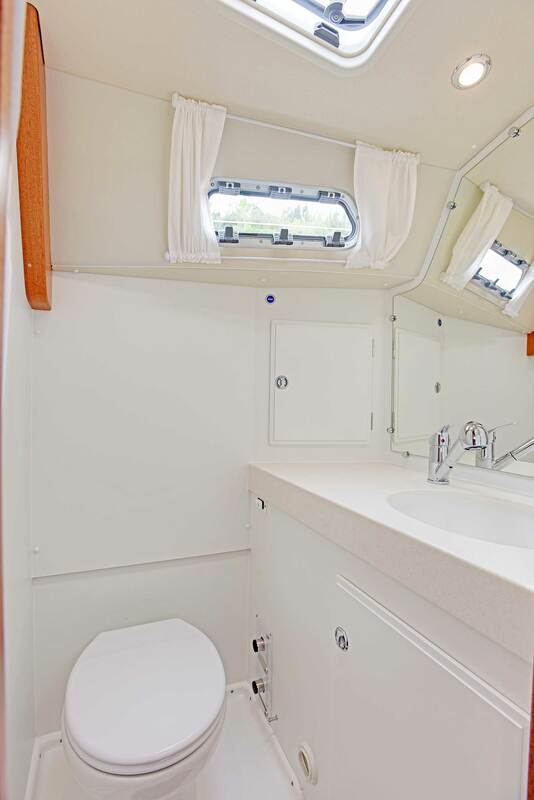 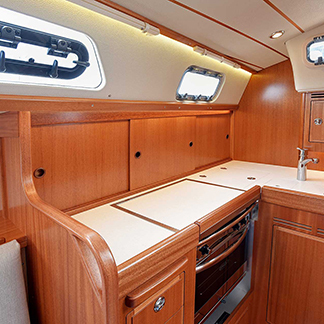 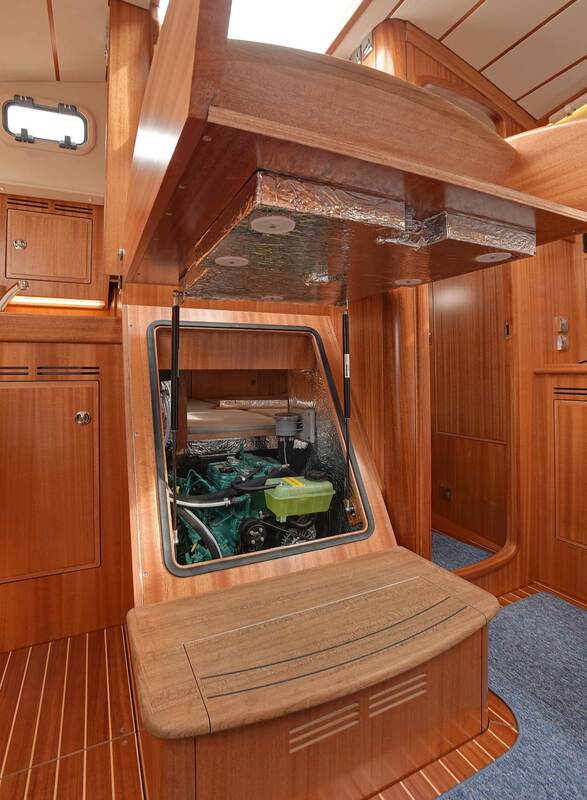 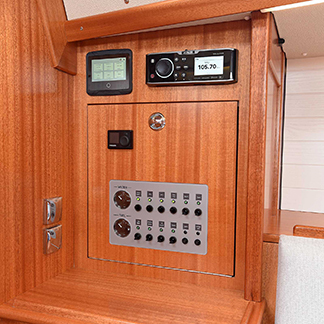 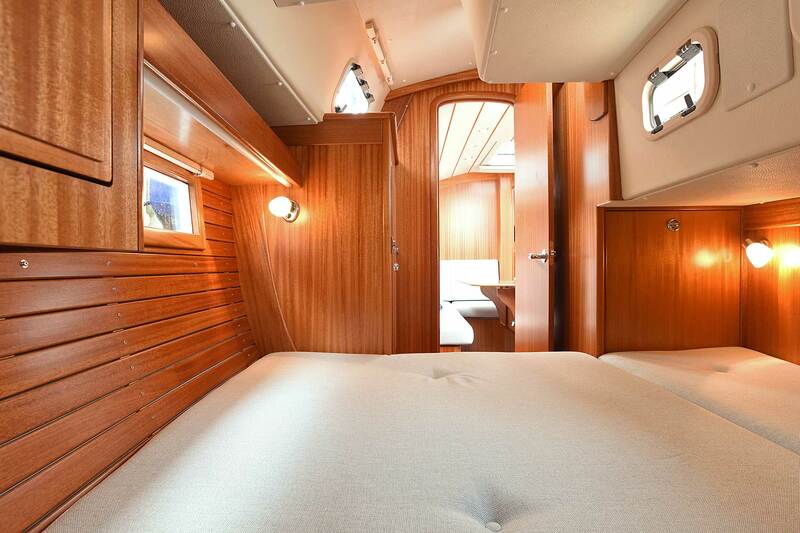 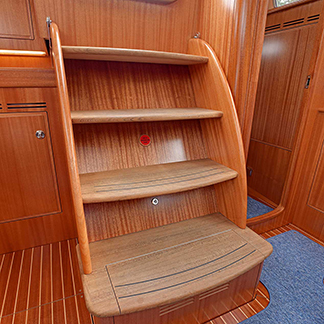 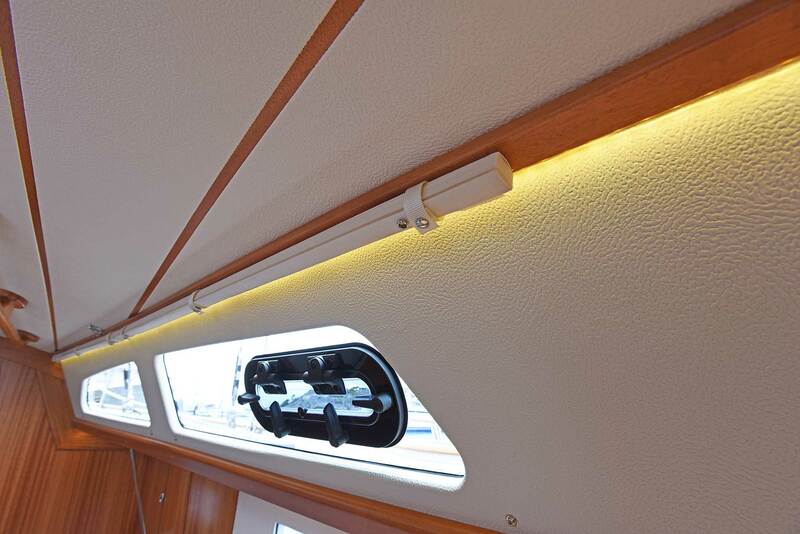 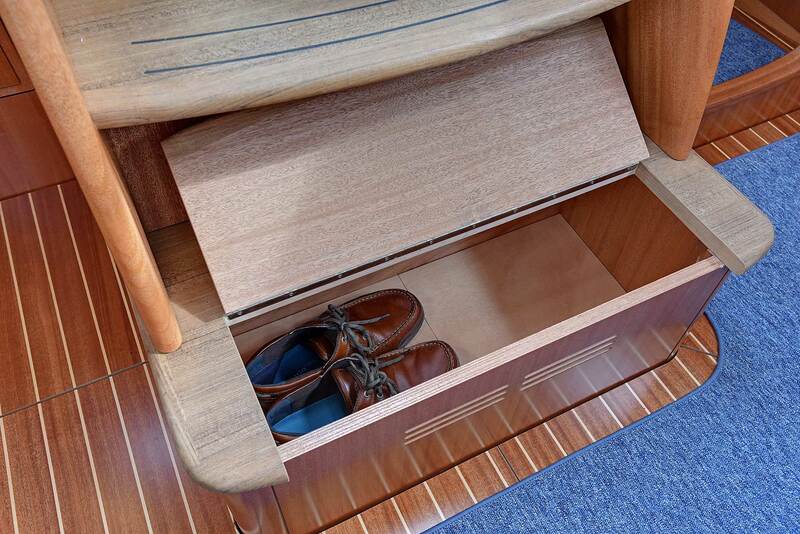 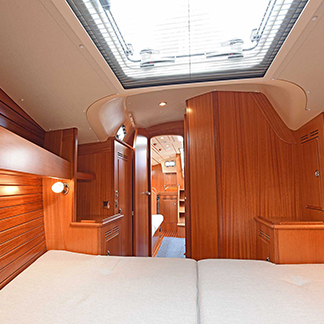 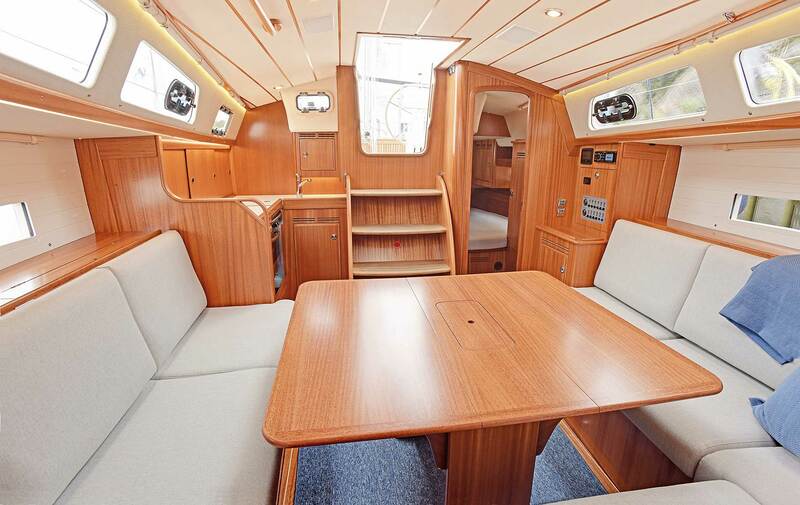 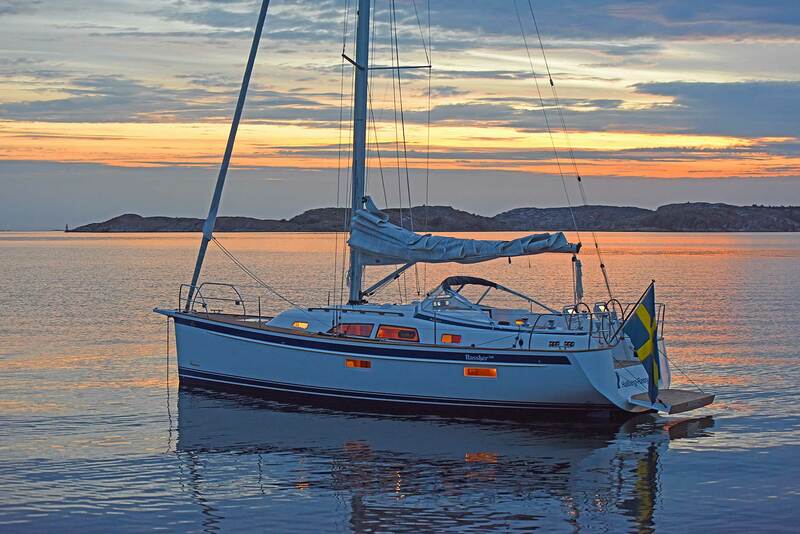 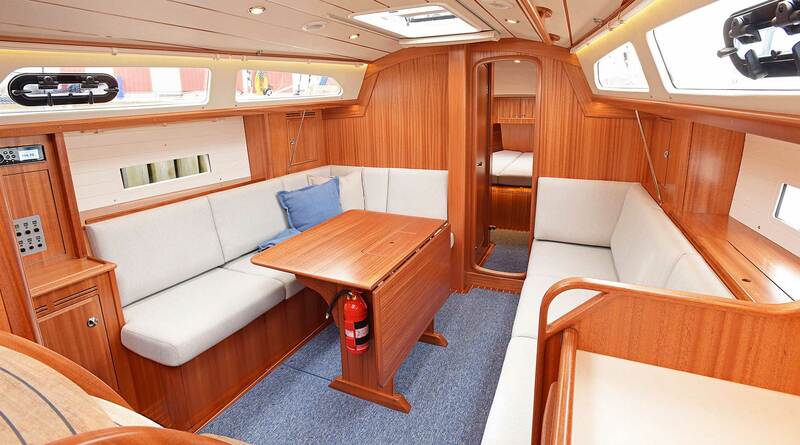 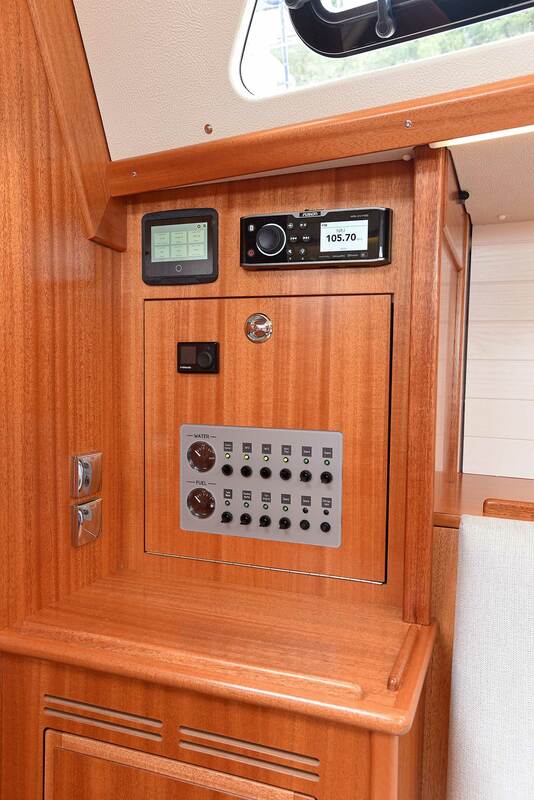 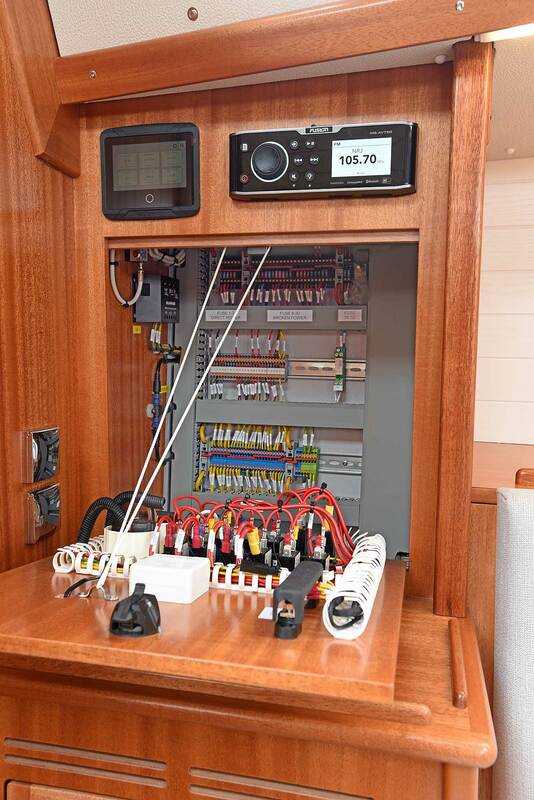 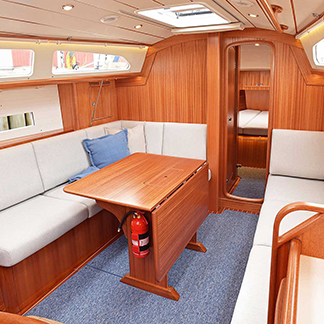 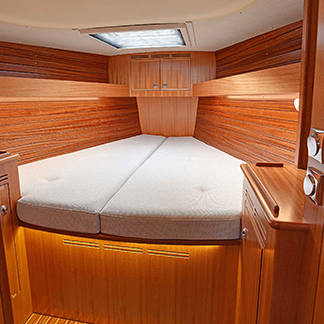 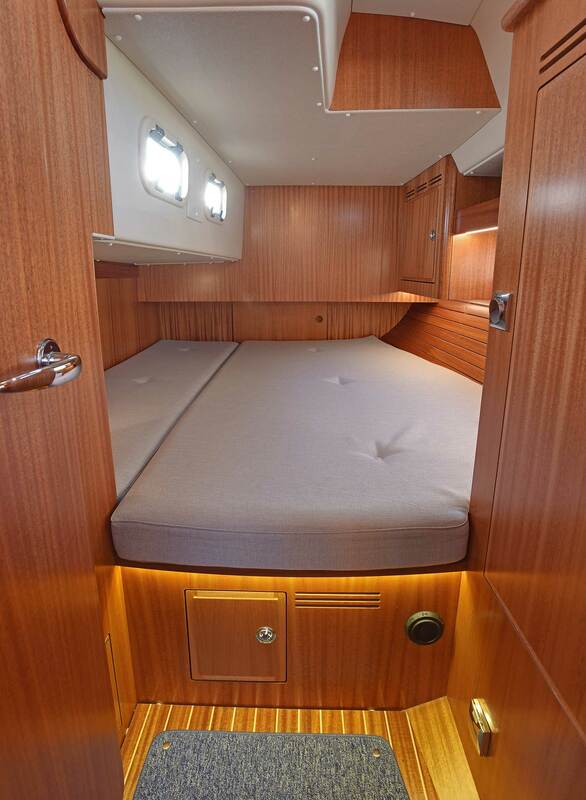 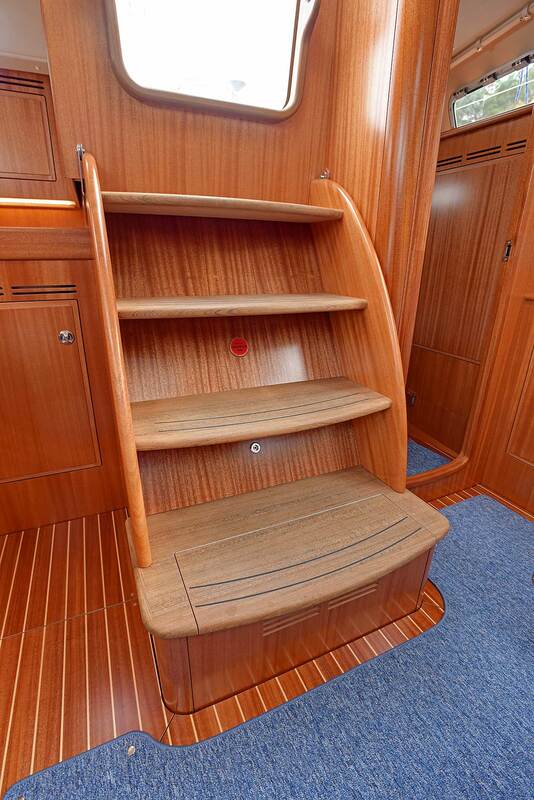 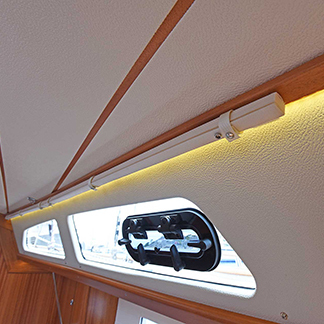 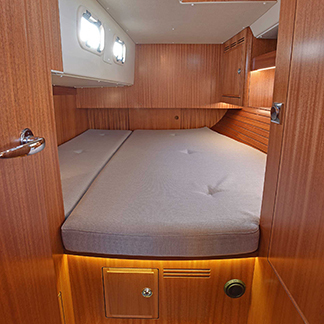 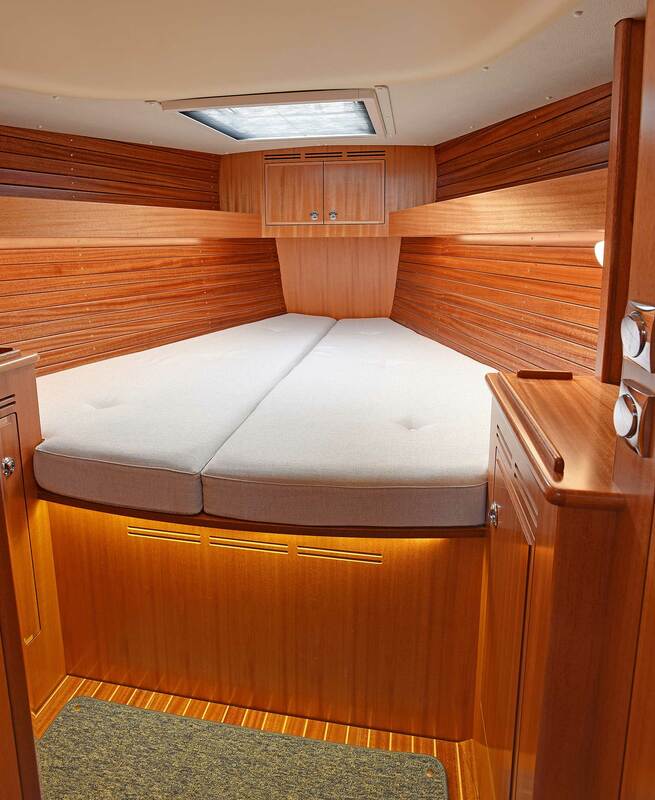 Hallberg-Rassy 340 has lots of natural light and good ventilation throughout the interior. 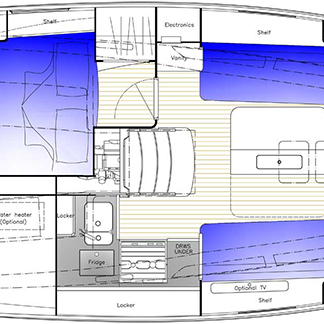 10.36 m / 34' 0"
10.95 m / 35' 11"
10.10 m / 33' 2"
3.47 m / 11' 5"
2.83 m / 9' 4"
16.42 m / 53' 11"